In July 1916, all Regimental Machine Gun Sections were to be excised from the regiments of the 1st Light Horse Brigade and brigaded to form a Machine Gun Squadron. The 1st, 2nd and 3rd Machine Gun Sections were combined to form the 1st Machine Gun Squadron under the command of the Brigade. In July 1916, all Regimental Machine Gun Sections were to be excised from the regiments of the 1st Light Horse Brigade and brigaded to form a Machine Gun Squadron. The 1st, 2nd and 3rd Machine Gun Sections were combined to form the 1st Light Horse Machine Gun Squadron under the command of the Brigade. There are some 464 men on this list indicating a fair rate of turnover in personnel over the period the 1st Light Horse Machine Gun Squadron was in existence. The authorised war establishment of a squadron was 156 men. 852 Private Thomas ABBOTT, a 23 year old Station hand/Assayer from Broken Hill, New South Wales. He enlisted on 4 December 1914 with the 3rd Light Horse Regiment, 4th Reinforcements. At the conclusion of the war, he Returned to Australia, 5 March 1919. 2104 Private Francis Patrick AHEARN, a 20 year old Motor diver from Randwick, New South Wales. He enlisted on 22 April 1915 with the 2nd Infantry Battalion, 6th Reinforcements. He subsequently Returned to Australia, 12 November 1917. 59 Private William John AHEARN, a 23 year old Clerk from Randwick, New South Wales. He enlisted on 24 August 1914 with the 1st Light Horse Regiment, Machine Gun Section. He subsequently Returned to Australia, 23 September 1918. 2291 Private Albert Charles AISH, a 23 year old Painter from Nailsworth, South Australia. He enlisted on 17 January 1916 with the 3rd Light Horse Regiment, 16th Reinforcements. At the conclusion of the war, he Returned to Australia, 17 May 1919. 2292 Private Clyde Alfred ALLEN, a 21 year old Farrier from Frewsville, South Australia. He enlisted on 4 January 1916 with the 3rd Light Horse Regiment, 16th Reinforcements. At the conclusion of the war, he Returned to Australia, 28 January 1919. 57253 Private Herbert Alexander ALLEN, a 21 year old Farmer from Gympie, Queensland. He enlisted on 10 May 1918 with the 4th General Service Reinforcements, Queensland. At the conclusion of the war, he Returned to Australia, 15 May 1919. 1591 Private Sydney Alexander ALLERTON, a 27 year old Merchant from Carindi, New South Wales. He enlisted on 10 August 1915 with the 1st Light Horse Regiment, 12th Reinforcements. At the conclusion of the war, he Returned to Australia, 5 May 1919. 57517 Private Percy Walter ALTSCHWAGER, a 19 year old Labourer from Adelaide, South Australia. He enlisted on 16 May 1918 with the 4th General Service Reinforcements, South Australia. At the conclusion of the war, he Returned to Australia, 15 May 1919. 3767 Private Edward ARMSTRONG, a 33 year old Labourer from Redfern, New South Wales. He enlisted on 13 November 1917 with the 1st Light Horse Regiment, 35th Reinforcements. At the conclusion of the war, he Returned to Australia, 15 March 1919. 64243 Private William Edward BACKSHALL, a 19 year old Driver from Brompton, South Australia. He enlisted on 13 May 1918 with the 5th General Service Reinforcements, South Australia. At the conclusion of the war, he Returned to Australia, 15 May 1919. 1389 Private Edward Ernest BADCOCK, a 32 year old Farmer from Westbury, Tasmania. He enlisted on 26 July 1915 with the 3rd Light Horse Regiment, 10th Reinforcements. At the conclusion of the war, he Returned to Australia, 15 May 1919 . 3651 Private Alexander Charles BADENOCH, a 26 year old Farmer from Bridgewater, South Australia. He enlisted on 21 April 1917 with the 9th Light Horse Regiment, 33rd Reinforcements. At the conclusion of the war, he Returned to Australia, 15 May 1919. 3052 Acting Corporal Herbert BAIL, a 40 year old Motorman from Maylands, South Australia. He enlisted on 19 July 1916 with the 3rd Light Horse Regiment, 25th Reinforcements. He subsequently Returned to Australia, 28 December 1917. 2986 Private Robert BAILEY, a 22 year old Miner from Brisbane, Queensland. He enlisted on 26 May 1915 with the 2nd Light Horse Regiment, 22nd Reinforcements. At the conclusion of the war, he Returned to Australia, 5 March 1919. 2622 Private William Raymond BAKER, a 32 year old Private Detective from Adelaide, South Australia. He enlisted on 24 January 1916 with the 3rd Light Horse Regiment, 21st Reinforcements. He subsequently Returned to Australia, 12 July 1918. 50382 Private Sidney James BARHAM, a 24 year old Tailor from Lithgow, New South Wales. He enlisted on 29 April 1918 with the 1st General Service Reinforcements, New South Wales. At the conclusion of the war, he Returned to Australia, 15 May 1919. 36 Private Herbert Lawrence BARRON, a 22 year old Station hand from Torrensville, South Australia. He enlisted on 19 August 1914 with the 3rd Light Horse Regiment, Regimental Headquarters. At the conclusion of the war, he Returned to Australia, 15 November 1918. 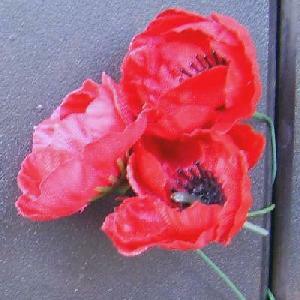 2297 Private Oliver Mark BARRON, a 21 year old Bread carter from Broken Hill, New South Wales. He enlisted on 18 January 1916 with the 3rd Light Horse Regiment, 16th Reinforcements. He subsequently Returned to Australia, 12 November 1917. 3591 Private David Rickaby BAWDEN, a 21 year old Farmer from Sandilands, South Australia. He enlisted on 29 August 1917 with the 3rd Light Horse Regiment, 32nd Reinforcements. At the conclusion of the war, he Returned to Australia, 4 March 1919. 2810 Temporary Quartermaster Sergeant Arthur Bell BEATTIE, a 20 year old Salesman from Forest Lodge, New South Wales. He enlisted on 15 June 1915 with the 1st Light Horse Regiment, 19th Reinforcements. At the conclusion of the war, he Returned to Australia, 4 March 1919. 703 Private Cranstoran Hick BEAVEN, a 30 year old Wool classer from Burra, South Australia. He enlisted on 23 November 1914 with the 3rd Light Horse Regiment, 2nd Reinforcements. He subsequently Returned to Australia, 12 November 1917 . 2567 Private Noel Wigley Hicks BEAVEN, a 28 year old Station Manager from Derby, Western Australia. He enlisted on 26 May 1915 with the 11th Infantry Battalion, 8th Reinforcements. At the conclusion of the war, he Returned to Australia, 15 May 1919. 2808 Private James Richard BELFORD, an 18 year old Labourer from Sth Brisbane, Queensland. He enlisted on 28 January 1916 with the 2nd Light Horse Regiment, 19th Reinforcements. At the conclusion of the war, he Returned to Australia, 15 May 1919. 3353 Private Leonard BELL, a 22 year old Groom from Wagga, New South Wales. He enlisted on 5 April 1917 with the 1st Light Horse Regiment, 28th Reinforcements. At the conclusion of the war, he Returned to Australia, 15 May 1919. 2807 Private William James BENNY, a 37 year old Miner from Murrah, New South Wales. He enlisted on 16 February 1916 with the 2nd Light Horse Regiment, 19th Reinforcements. At the conclusion of the war, he Returned to Australia, 15 May 1919. 1545 Private Percy Norman BERRY, an 18 year old Motor mechanic from Chelmer, Queensland. He enlisted on 3 August 1915 with the 2nd Light Horse Regiment, 12th Reinforcements. At the conclusion of the war, he Returned to Australia, 15 May 1919. 20 Driver Raymond Harry BERRY, a 25 year old Motor Mechanic from East Brisbane, Queensland. He enlisted on 20 August 1914 with the 1st Light Horse Brigade Headquarters, 5th Company Australian Army Supply Corps. At the conclusion of the war, he Returned to Australia, 15 November 1918. 2400 Acting Sergeant Wilfred Acheson BERRY, a 32 year old Traveller from Adelaide, South Australia. He enlisted on 12 June 1915 with the 4th Light Horse Regiment, 16th Reinforcements. At the conclusion of the war, he Returned to Australia, 24 July 1919. 21 Driver Ernest BEST, a 28 year old Fireman from West End, Queensland. He enlisted on 24 August 1914 with the 1st Light Horse Brigade Headquarters, 5th Company Australian Army Supply Corps. At the conclusion of the war, he Returned to Australia, 23 December 1918. 2809 Private Jack Herbert Edward BIDDULPH, an 18 year old Station hand from Rockhampton, Queensland. He enlisted on 14 February 1916 with the 2nd Light Horse Regiment, 19th Reinforcements. At the conclusion of the war, he Returned to Australia, 15 May 1919. 2900 Private Alfred Cyril BIDSTRUP, a 34 year old Selector from Warra, Queensland. He enlisted on 22 February 1916 with the 2nd Light Horse Regiment, 20th Reinforcements. At the conclusion of the war, he Returned to Australia, 15 May 1919. 757 Private James Amesy BIGELOW, a 23 year old Farmer from Barambah via Murgon, Queensland. He enlisted on 17 December 1914 with the 2nd Light Horse Regiment, 3rd Reinforcements. At the conclusion of the war, he Returned to Australia, 15 May 1919. 5458 Private Gordon Tunstan BIRKBECK, a 23 year old Printer from Croydon, New South Wales. He enlisted on 22 June 1915 with the 1st Light Horse Field Ambulance, 9th Reinforcements. At the conclusion of the war, he Returned to Australia, 5 March 1919. 2151 Private John BLACK, a 19 year old Drover from Booval Ipswich, Queensland. He enlisted on 5 November 1915 with the 2nd Light Horse Regiment, 15th Reinforcements. At the conclusion of the war, he Returned to Australia, 4 March 1919. 2929 Private John Felix BLANCH, a 36 year old Farmer from Eden Creek, New South Wales. He enlisted on 14 April 1916 with the 2nd Light Horse Regiment, 21st Reinforcements. At the conclusion of the war, he Returned to Australia, 15 May 1919. 57504 Private Henry Perrier BLUCHER, a 25 year old Mail driver from Saddleworth, South Australia. He enlisted on 2 April 1918 with the 4th General Service Reinforcements, South Australia. At the conclusion of the war, he Returned to Australia, 16 May 1919. 56960 Private Breck BONARIUS, a 23 year old Horse Trainer from Sydney, New South Wales. He enlisted on 23 April 1918 with the 3rd General Service Reinforcements, New South Wales. At the conclusion of the war, he Returned to Australia, 15 May 1919. 2153 Private Arthur Easton BOND, a 21 year old Motordriver from St Kilda, Victoria. He enlisted on 16 October 1915 with the 4th Light Horse Regiment, 15th Reinforcements. At the conclusion of the war, he Returned to Australia, 26 January 1919. 127 Private Theodore Benjamin BOND, an 18 year old Labourer from Subiaco, Western Australia. He enlisted on 11 June 1917 with the 1st Light Horse Machine Gun Squadron, 6th Reinforcements. At the conclusion of the war, he Returned to Australia, 15 May 1919. 1309 Private Robert Henry BONEHAM, a 21 22 year old Fireman from Kalgoolie, Western Australia. He enlisted on 16 July 1915 with the 10th Light Horse Regiment, 10th Reinforcements. At the conclusion of the war, he Returned to Australia, 29 January 1919. 2448 Private Alick Joseph BOTT, a 23 year old Farm Labourer from Hectorville, South Australia. He enlisted on 31 January 1916 with the 3rd Light Horse Regiment, 17th Reinforcements. At the conclusion of the war, he Returned to Australia, 15 May 1919. 57505 Private Leslie Norman BOULTER, an 18 year old Butchers assistant from Unley, South Australia. He enlisted on 13 May 1918 with the 4th General Service Reinforcements, South Australia. At the conclusion of the war, he Returned to Australia, 15 May 1919. 1532 Private William Thomas BOWCOCK, an 18 year old Labourer from Kincumber, New South Wales. He enlisted on 22 August 1915 with the 1st Light Horse Regiment, 12th Reinforcements. At the conclusion of the war, he Returned to Australia, 15 May 1919. 2807 Private William Andrew BRADLEY, a 29 year old from Gladstone, New South Wales. He enlisted on 19 January 1916 with the 1st Light Horse Regiment, 19th Reinforcements. At the conclusion of the war, he Returned to Australia, 15 January 1919. 56955 Private William Angelo BREES, a 43 year old Grazier from Sydney, New South Wales. He enlisted on 14 November 1917 with the 3rd General Service Reinforcements, New South Wales. At the conclusion of the war, he Returned to Australia, 15 May 1919. 50303 Private John Stanislaus BRENNAN, an 18 year old Grazier from Rose Bay, New South Wales. He enlisted on 21 January 1918 with the 1st General Service Reinforcements, New South Wales. At the conclusion of the war, he Returned to Australia, 29 April 1919. 3653 Private Herbert Ernest BREWER, a 19 year old Bankclerk from Lakemba, New South Wales. He enlisted on 23 April 1917 with the Imperial Camel Corps, 14th Reinforcements. At the conclusion of the war, he Returned to Australia, 15 May 1919. 1 Private George White BROWN, a 32 year old Storekeeper from Wallsend, New South Wales. He enlisted on 2 November 1916 with the 1st Light Horse Machine Gun Squadron, 1st Reinforcements. At the conclusion of the war, he Returned to Australia, 15 May 1919. 4608 Private John BROWN, a 22 year old Labourer from Portland, Victoria. He enlisted on 25 October 1917 with the Light Horse Reinforcements. At the conclusion of the war, he Returned to Australia, 15 May 1919. 856 Private Robert BROWN, a 34 year old Farrier from Cairns, Queensland. He enlisted on 26 January 1915 with the 2nd Light Horse Regiment, 4th Reinforcements. He subsequently Returned to Australia, 18 November 1917. 52 Private Lindsay James BROWNE, a 25 year old Farmer from Wedderburn, Victoria. He enlisted on 20 February 1917 with the 1st Light Horse Machine Gun Squadron, 3rd Reinforcements. At the conclusion of the war, he Returned to Australia, 15 May 1919. 297 Private Charles William BUBKE, a 19 year old Labourer from Biggenden, Queensland. He enlisted on 22 August 1914 with the 2nd Light Horse Regiment, B Squadron. He subsequently Returned to Australia, 8 March 1917. 772 Private Rupert BUDD, a 33 year old Labourer from Cudgellico, New South Wales. He enlisted on 26 November 1914 with the 1st Light Horse Regiment, 3rd Reinforcements. At the conclusion of the war, he Returned to Australia, 15 May 1919. 1998 Private David Oliver BULL, a 21 year old Labourer from Rathdowney, Queensland. He enlisted on 6 November 1915 with the 2nd Remounts, 7th Squadron. At the conclusion of the war, he Returned to Australia, 26 January 1919. 12 Private Elijah BUNN, an 18 year old Labourer from Seymour, Victoria. He enlisted on 29 June 1916 with the 1st Light Horse Machine Gun Squadron, 1st Reinforcements. At the conclusion of the war, he Returned to Australia, 16 May 1919. 2810 Private Frederick BURGESS, a 27 year old Dairyman from Brisbane, Queensland. He enlisted on 18 January 1916 with the 2nd Light Horse Regiment, 19th Reinforcements. He subsequently Died of Wounds, 20 April 1918. 64040 Private Percival BURKE, a 20 year old Farmer from Dunedoo, New South Wales. He enlisted on 21 June 1918 with the 5th General Service Reinforcements, New South Wales. At the conclusion of the war, he Returned to Australia, 15 May 1919. 2646 Private Edward BURNEY, a 24 year old Labourer from Port Melbourne, Victoria. He enlisted on 8 February 1916 with the 4th Light Horse Regiment, 18th Reinforcements. At the conclusion of the war, he Returned to Australia, 3 July 1919. 3049 Private John BURNHAN, a 20 year old Farmer from Forest Hill, Queensland. He enlisted on 2 March 1917 with the 2nd Light Horse Regiment, 23rd Reinforcements. At the conclusion of the war, he Returned to Australia, 15 May 1919. 2456 Private Herbert Frank BURNS, a 28 year old Labourer from Sydney, New South Wales. He enlisted on 8 January 1916 with the 1st Light Horse Regiment, 17th Reinforcements. At the conclusion of the war, he Returned to Australia, 15 May 1919. 102 Private Darcy BUSSELL, an 18 year old Salesman from Leederville, Western Australia. He enlisted on 14 May 1917 with the 1st Light Horse Machine Gun Squadron, 5th Reinforcements. At the conclusion of the war, he Returned to Australia, 15 May 1919. 3471 Private Allan Asa BUTTON, a 24 year old Farmer from Koolunga, South Australia. He enlisted on 4 April 1917 with the 3rd Light Horse Regiment, 34th Reinforcements. At the conclusion of the war, he Returned to Australia, 15 May 1919. 3084 Private William Joseph CAHILL, a 35 year old Grazier from Cumnock via Molong, New South Wales. He enlisted on 3 May 1916 with the 1st Light Horse Regiment, 23rd Reinforcements. At the conclusion of the war, he Returned to Australia, 16 May 1919. 61 Private Thomas CALDER, a 28 year old Engineer from Randwick, New South Wales. He enlisted on 24 August 1914 with the 1st Light Horse Regiment, Machine Gun Section. He subsequently Returned to Australia, 2 September 1916. 1173 Private Alfred CAMERON, a 24 year old Labourer from Miningie, South Australia. He enlisted on 15 January 1915 with the 3rd Light Horse Regiment, 8th Reinforcements. At the conclusion of the war, he Returned to Australia, 15 May 1919. 2648 Private Hugh Allen CAMERON, a 22 year old Carpenter from Heywood, Victoria. He enlisted on 26 January 1916 with the 4th Light Horse Regiment, 18th Reinforcements. At the conclusion of the war, he Returned to Australia, 8 September 1919. 2256 Private James Edward CAMERON, a 19 year old Printer from Grafton, New South Wales. He enlisted on 8 October 1915 with the 5th Light Horse Regiment, 15th Reinforcements. At the conclusion of the war, he Returned to Australia, 15 May 1919. 3477 Private Gilbert McCullaugh CAMPBELL, a 26 year old Clerk from Streaky Bay, South Australia. He enlisted on 31 March 1917 with the 3rd Light Horse Regiment, 30th Reinforcements. At the conclusion of the war, he Returned to Australia, 15 May 1919. 1308 Private Rupert Henry CAMPBELL, a 24 year old Butcher from Carinda, New South Wales. He enlisted on 12 January 1915 with the 1st Light Horse Regiment, 10th Reinforcements. At the conclusion of the war, he Returned to Australia, 22 December 1918. 2 Private William Patrick CANNON, a 25 year old Farmer from Cowra, New South Wales. He enlisted on 5 December 1916 with the 1st Light Horse Machine Gun Squadron, 1st Reinforcements. At the conclusion of the war, he Returned to Australia, 15 May 1919. 51 Driver Ernest John Alexander CANNONS, a 20 year old Farm Labourer from Toowoomba, Queensland. He enlisted on 22 August 1914 with the 2nd Light Horse Regiment, Machine Gun Section. He subsequently Returned to Australia, 28 December 1917. 2369 Private Walter Alexander CARLE, a 19 year old Farmer from Taree, New South Wales. He enlisted on 20 January 1917 with the Imperial Camel Corps, 9th Reinforcements. At the conclusion of the war, he Returned to Australia, 29 April 1919. 1394 Private James CARSON, a 26 year old Carter from Nudgee, Queensland. He enlisted on 20 July 1915 with the 2nd Light Horse Regiment, 11th Reinforcements. He subsequently Returned to Australia, 15 February 1918. 1537 Private Reginald CARTWRIGHT, a 35 year old Engine driver from East Greta, New South Wales. He enlisted on 11 August 1915 with the 1st Light Horse Regiment, 12th Reinforcements. He subsequently Returned to Australia, 29 May 1917. 50510 Private John Harrison CATTERMOLE, a 23 year old Sharefarmer from Yalata, South Australia. He enlisted on 1 January 1918 with the 1st General Service Reinforcements, South Australia. At the conclusion of the war, he Returned to Australia, 15 May 1919. 3484 Private David Wallace CHALMERS, a 21 year old Farmer from Koolunga, South Australia. He enlisted on 11 April 1917 with the 3rd Light Horse Regiment, 30th Reinforcements. At the conclusion of the war, he Returned to Australia, 15 May 1919. 57314 Private Eric Edward CHAMPION, a 20 year old School Teacher from Mudgee, New South Wales. He enlisted on 29 April 1918 with the 4th General Service Reinforcements, New South Wales. At the conclusion of the war, he Returned to Australia, 15 May 1919. 2002 Private Harold Clifford CLARK, a 29 year old Plumber from Adelaide, South Australia. He enlisted on 9 November 1915 with the 3rd Light Horse Regiment, 14th Reinforcements. At the conclusion of the war, he Returned to Australia, 15 May 1919. 57044 Private Edward Gordon CLARKE, a 19 year old Cashier from Sydney, New South Wales. He enlisted on 13 March 1918 with the 3rd General Service Reinforcements, New South Wales. At the conclusion of the war, he Returned to Australia, 15 May 1919. 57043 Private George Gladstone CLARKE, a 19 year old Accountant from Ashfield, New South Wales. He enlisted on 13 March 1918 with the 3rd General Service Reinforcements, New South Wales. At the conclusion of the war, he Returned to Australia, 15 May 1919. 1476 Private John Alfred Victor CLARKE, a 20 year old Labourer from Seaforth Liverpool, New South Wales. He enlisted on 30 July 1915 with the 2nd Light Horse Regiment, 11th Reinforcements. At the conclusion of the war, he Returned to Australia, 15 May 1919. 765 Private Allan Gordon CLARK-KENNEDY, a 30 year old Farmer from Cardwell, Queensland. He enlisted on 16 December 1914 with the 2nd Light Horse Regiment, 3rd Reinforcements. At the conclusion of the war, he Returned to Australia, 1 August 1919. 2649 Private John Thomas CLEMENTS, a 24 year old Farmer from Sth Jeffcott, Victoria. He enlisted on 13 August 1915 with the 4th Light Horse Regiment, 18th Reinforcements. He subsequently Returned to Australia, 11 July 1917. 54 Private Harold Stuart CLIFTON, an 18 year old Farmer from Dardanup, Western Australia. He enlisted on 1 November 1916 with the 1st Light Horse Machine Gun Squadron, 3rd Reinforcements. At the conclusion of the war, he Returned to Australia, 15 May 1919. 55 Private Kenneth Diehard CLIFTON, a 19 year old Farmer from Dardanup, Western Australia. He enlisted on 5 May 1917 with the 1st Light Horse Machine Gun Squadron, 3rd Reinforcements. At the conclusion of the war, he Returned to Australia, 15 May 1919. 1585 Private Frank Railton CLINCH, a 25 year old Miner from Mt Reid, Tasmania. He enlisted on 28 July 1915 with the 3rd Light Horse Regiment, 12th Reinforcements. He subsequently was Killed in Action, 4 August 1916. 2799 Private Percival Andrew CLUTTERHAM, a 21 year old Farmer from Snowtown, South Australia. He enlisted on 10 February 1916 with the 3rd Light Horse Regiment, 19th Reinforcements. He subsequently Returned to Australia, 15 February 1918. 57507 Private Bernard Young COLLETT, an 18 year old Driver from Glen Osmond, South Australia. He enlisted on 13 May 1918 with the 4th General Service Reinforcements, South Australia. At the conclusion of the war, he Returned to Australia, 15 May 1919. 50310 Private Arthur Albert COLLINS, a 19 year old Warehouse man from Sydney, New South Wales. He enlisted on 31 January 1918 with the 1st General Service Reinforcements, New South Wales. At the conclusion of the war, he Returned to Australia, 29 April 1919. 2808 Private William COLQUHOUN, a 25 year old Railworker from Callawadda via Stawell, Victoria. He enlisted on 16 September 1915 with the 4th Light Horse Regiment, 19th Reinforcements. At the conclusion of the war, he Returned to Australia, 16 May 1919. 3230 Private Anthony James CONNELL, a 23 year old Sawmill Hand from Urenville, New South Wales. He enlisted on 23 November 1916 with the 1st Light Horse Regiment, 26th Reinforcements. At the conclusion of the war, he Returned to Australia, 15 May 1919. 1947 Private Mortimer Egbert James CONNOLLY, an 18 year old Drover from Chinchilla, Queensland. He enlisted on 4 October 1915 with the 2nd Light Horse Regiment, 13th Reinforcements. At the conclusion of the war, he Returned to Australia, 19 August 1919. 475 Private Gordon Colin COOPER, a 21 year old Colonial officer from Osterley, New South Wales. He enlisted on 27 August 1914 with the 1st Light Horse Regiment, C Squadron. He subsequently Returned to Australia, 18 October 1918. 2800 Private Edward John CORBELL, a 24 year old Labourer from Mt Gambier, South Australia. He enlisted on 7 February 1916 with the 3rd Light Horse Regiment, 19th Reinforcements. At the conclusion of the war, he Returned to Australia, 17 July 1919. 2863 Private Francis Leslie George COTTRELL, a 22 year old Farmer from Bekina Park, South Australia. He enlisted on 18 February 1916 with the 3rd Light Horse Regiment, 20th Reinforcements. At the conclusion of the war, he Returned to Australia, 14 March 1919. 129 Private Charles Grenville COURTLAND, an 18 year old Potter from Belmont Park, Western Australia. He enlisted on 26 February 1917 with the 1st Light Horse Machine Gun Squadron, 6th Reinforcements. At the conclusion of the war, he Returned to Australia, 15 May 1919. 85 Private Arthur John COX, a 34 year old Assayer from Lithgow, New South Wales. He enlisted on 18 August 1914 with the 4th Light Horse Regiment, A Squadron. At the conclusion of the war, he Returned to Australia, 15 November 1918. 2003 Private John COX, a 22 year old Stockman from Copperfield via Clermont, Queensland. He enlisted on 1 August 1915 with the 5th Light Horse Regiment, 14th Reinforcements. At the conclusion of the war, he Returned to Australia, 28 January 1919. 2813 Private William Arthur COX, a 20 year old Dairyman from Brisbane, Queensland. He enlisted on 7 February 1916 with the 2nd Light Horse Regiment, 19th Reinforcements. At the conclusion of the war, he Returned to Australia, 15 May 1919. 43 Private Joseph CRADOCK, a 21 year old Loco Cleaner from Salisbury, South Australia. He enlisted on 24 August 1914 with the 3rd Light Horse Regiment, Machine Gun Section. At the conclusion of the war, he Returned to Australia, 15 November 1918. 3698 Private Harry De Brot CRAIG, a 23 year old Fitter from Linda Valley, Tasmania. He enlisted on 20 October 1917 with the 3rd Light Horse Regiment, 33rd Reinforcements. At the conclusion of the war, he Returned to Australia, 5 March 1919. 53 Private William Frederick CRANE, an 18 year old Labourer from Bayswater, Western Australia. He enlisted on 26 April 1917 with the 1st Light Horse Machine Gun Squadron, 3rd Reinforcements. At the conclusion of the war, he Returned to Australia, 22 September 1919. 52690 Private Douglas Hector Macdonald CROLL, an 18 year old Ironmonger from Banksia, New South Wales. He enlisted on 14 February 1918 with the 2nd General Service Reinforcements, New South Wales. At the conclusion of the war, he Returned to Australia, 15 May 1919. 56969 Private Albert Joseph CROWE, a 21 year old Labourer from Young, New South Wales. He enlisted on 23 April 1917 with the 3rd General Service Reinforcements, New South Wales. At the conclusion of the war, he Returned to Australia, 15 May 1919. 2992 Private Christopher James Wyalong CULLEN, a 19 year old Farmer from Kyogle, New South Wales. He enlisted on 14 April 1916 with the 2nd Light Horse Regiment, 22nd Reinforcements. At the conclusion of the war, he Returned to Australia, 15 May 1919. 2935 Private Alexander James DALE, a 23 year old Grocers assistant from Ipswich, Queensland. He enlisted on 24 January 1916 with the 2nd Light Horse Regiment, 21st Reinforcements. He subsequently Returned to Australia, 30 August 1918. 2957 Private William Frew DALRYMPLE, a 30 year old Water commisison from Griffith, New South Wales. He enlisted on 24 February 1916 with the 1st Light Horse Regiment, 21st Reinforcements. At the conclusion of the war, he Returned to Australia, 4 July 1919. 131 Private Keith DANS, a 19 year old Plumber from Westonia, Western Australia. He enlisted on 11 June 1917 with the 1st Light Horse Machine Gun Squadron, 6th Reinforcements. At the conclusion of the war, he Returned to Australia, 15 May 1919. 3437 Private James Robert DAVIDSON, a 37 year old Warder from Goodna, Queensland. He enlisted on 1 May 1917 with the 2nd Light Horse Regiment, 29th Reinforcements. At the conclusion of the war, he Returned to Australia, 2 April 1919. 657 Private Robert DAVIDSON, a 28 year old Farrier from Shootershill, New South Wales. He enlisted on 14 October 1914 with the 1st Light Horse Regiment, 1st Reinforcements. He subsequently Returned to Australia, 21 July 1917. 51 Driver Roy DAVIS, a 21 year old Farmer from Nth Yass, New South Wales. He enlisted on 19 August 1914 with the 1st Light Horse Regiment, Machine Gun Section. At the conclusion of the war, he Returned to Australia, 17 July 1919. 251 Private William DAVIS, a 27 year old Grazier from Yass, New South Wales. He enlisted on 21 July 1915 with the 19th Infantry Battalion, 5th Reinforcements. At the conclusion of the war, he Returned to Australia, 27 January 1919. 104 Driver Roy Francis DeALEVION, a 20 year old Labourer from Gundy, New South Wales. He enlisted on 22 August 1914 with the 1st Light Horse Regiment, A Squadron. He subsequently Died of Disease, 5 November 1918. 2628 Private John Herbert DEARMAN, a 21 year old Station hand from Oakdale, South Australia. He enlisted on 31 January 1916 with the 3rd Light Horse Regiment, 19th Reinforcements. He subsequently Died of Wounds, 31 October 1917. 124 Private Bertie DeBRITT, a 26 year old Motordriver from Springvale via Young, New South Wales. He enlisted on 30 December 1914 with the 12th Light Horse Regiment, A Squadron. At the conclusion of the war, he Returned to Australia, 16 March 1919. 2873 Private Matthew Raymond DEVINE, a 26 year old Horse trainer from East Brisbane, Queensland. He enlisted on 11 January 1916 with the 2nd Light Horse Regiment, 20th Reinforcements. At the conclusion of the war, he Returned to Australia, 17 July 1919. 2810 Private Charles Vernon DICKENS, a 20 year old Orcharist from Brunswick, Victoria. He enlisted on 1 February 1916 with the 4th Light Horse Regiment, 19th Reinforcements. At the conclusion of the war, he Returned to Australia, 17 July 1919. 401 Private Aubrey Edgar DIPROSE, a 28 year old Stockman from Cam Grove, Tasmania. He enlisted on 18 August 1914 with the 3rd Light Horse Regiment, C Squadron. At the conclusion of the war, he Returned to Australia, 16 November 1918. 988 Private Leslie Raymond DIPROSE, an 18 year old Labourer from Somerset, Tasmania. He enlisted on 29 January 1915 with the 3rd Light Horse Regiment, 5th Reinforcements. At the conclusion of the war, he Returned to Australia, 15 May 1919. 2867 Private Michael John DONEGAN, a 19 year old Farm hand from Curramulka, South Australia. He enlisted on 1 March 1916 with the 3rd Light Horse Regiment, 20th Reinforcements. At the conclusion of the war, he Returned to Australia, 9 July 1919. 2306 Private Michael Edward DORAN, a 21 year old Sailor from Broken Hill, New South Wales. He enlisted on 18 January 1916 with the 3rd Light Horse Regiment, 16th Reinforcements. He subsequently Returned to Australia, 30 August 1918. 156 Private Ernest Henry Esperance DOUST, a 21 year old Labourer from Esperence, Western Australia. He enlisted on 17 September 1917 with the 1st Light Horse Machine Gun Squadron, 7th Reinforcements. At the conclusion of the war, he Returned to Australia, 17 July 1919. 3595 Private James Joseph DOWLING, a 30 year old Farmer from Galga, South Australia. He enlisted on 8 September 1917 with the 3rd Light Horse Regiment, 34th Reinforcements. At the conclusion of the war, he Returned to Australia, 15 May 1919. 78 Private Nelson DRUMMOND, an 18 year old Millhand from Perth, Western Australia. He enlisted on 24 February 1917 with the 1st Light Horse Machine Gun Squadron, 4th Reinforcements. At the conclusion of the war, he Returned to Australia, 15 May 1919. 63 Driver Robert William DUFF, a 34 year old Labourer from Waverley, New South Wales. He enlisted on 24 August 1914 with the 1st Light Horse Regiment, Machine Gun Section. He subsequently Returned to Australia, 2 September 1916. 2326 Private Michael John DUFFY, a 35 year old Labourer from Cunnamulla, Queensland. He enlisted on 26 October 1915 with the 2nd Light Horse Regiment, 16th Reinforcements. At the conclusion of the war, he Returned to Australia, 15 May 1917. 56 Private Angus William DUKE, a 43 year old Miner from Greenbushes, Western Australia. He enlisted on 19 April 1917 with the 1st Light Horse Machine Gun Squadron, 3rd Reinforcements. At the conclusion of the war, he Returned to Australia, 5 March 1919. 1391 Private Leslie Robert DUNCAN, a 24 year old Fitter from Brunswick, South Australia. He enlisted on 6 July 1915 with the 3rd Light Horse Regiment, 11th Reinforcements. At the conclusion of the war, he Returned to Australia, 28 January 1919. 3535 Private Leonard Charles DUNGEY, a 24 year old Farmer from Noarlunga, South Australia. He enlisted on 6 March 1917 with the 3rd Light Horse Regiment, 31st Reinforcements. At the conclusion of the war, he Returned to Australia, 15 May 1919. 1113 Private William Lambert DUNN, a 23 year old Farmer from Camden, New South Wales. He enlisted on 23 June 1915 with the 1st Light Horse Regiment, 7th Reinforcements. At the conclusion of the war, he Returned to Australia, 23 December 1918. 87 Private Guy Percival DUNSTALL, a 21 year old Labourer from Normanville, South Australia. He enlisted on 5 September 1916 with the 1st Light Horse Machine Gun Squadron, 4th Reinforcements. At the conclusion of the war, he Returned to Australia, 6 March 1919. 1590 Private William Frederick Herbert EDMONDS, a 21 year old Rail cleaner from Petersburg, South Australia. He enlisted on 30 August 1915 with the 3rd Light Horse Regiment, 12th Reinforcements. At the conclusion of the war, he Returned to Australia, 15 June 1919. 1017 Private William EDWARDS, a 33 year old Miner from Brisbane, Queensland. He enlisted on 6 February 1915 with the 2nd Light Horse Regiment, 6th Reinforcements. At the conclusion of the war, he Returned to Australia, 8 October 1919. 162 Private George Albert ELLIS, a 34 year old Farmer from Kojonup, Western Australia. He enlisted on 20 August 1917 with the 1st Light Horse Machine Gun Squadron, 7th Reinforcements. At the conclusion of the war, he Returned to Australia, 15 May 1919. 2456 Private Mortimer EVE, a 40 year old Stableowener from Renmark, South Australia. He enlisted on 21 January 1916 with the 3rd Light Horse Regiment, 17th Reinforcements. At the conclusion of the war, he Returned to Australia, 6 July 1919. 52705 Private Harrison Goodenough FALLON, a 19 year old Student from Kempsey, New South Wales. He enlisted on 29 January 1918 with the 2nd General Service Reinforcements, New South Wales. At the conclusion of the war, he Returned to Australia, 6 October 1919. 2868 Private John Taylor FARGHER, a 25 year old Chainman from Blinman, South Australia. He enlisted on 20 February 1916 with the 3rd Light Horse Regiment, 20th Reinforcements. At the conclusion of the war, he Returned to Australia, 28 January 1919. 2802 Private Peter James FARLEY, a 29 year old Stockman from Gumeracha, South Australia. He enlisted on 10 February 1916 with the 3rd Light Horse Regiment, 19th Reinforcements. At the conclusion of the war, he Returned to Australia, 15 May 1919. 1449 Private Patrick Alphonsus Gerald FAY, a 24 year old Signwriter from Sth Ballarat, Victoria. He enlisted on 23 July 1915 with the 3rd Light Horse Regiment, 11th Reinforcements. At the conclusion of the war, he Returned to Australia, 15 May 1919. 154 Private Edward Robert FERNIHOUGH, an 18 year old Clerk from Bellevue, Western Australia. He enlisted on 18 September 1916 with the 1st Light Horse Machine Gun Squadron, 7th Reinforcements. At the conclusion of the war, he Returned to Australia, 16 May 1919. 1612 Private Edward FERRIS, a 25 year old Grazier from Dumaresq, New South Wales. He enlisted on 24 August 1915 with the 1st Light Horse Regiment, 12th Reinforcements. At the conclusion of the war, he Returned to Australia, 18 May 1919. 3712 Private Albert Trisstran FERRY, a 23 year old Sailor from Adelaide, South Australia. He enlisted on 12 December 1917 with the 3rd Light Horse Regiment, 34th Reinforcements. At the conclusion of the war, he Returned to Australia, 7 October 1919. 3711 Private Stephen FITZGERALD, a 24 year old Ambulance man from Sale, Victoria. He enlisted on 3 July 1917 with the 3rd Light Horse Regiment, 34th Reinforcements. At the conclusion of the war, he Returned to Australia, 15 May 1919. 2870 Acting Corporal Bruce McKenzie FOULIS, a 25 year old Suryeyor from Malvern, South Australia. He enlisted on 25 January 1916 with the 3rd Light Horse Regiment, 20th Reinforcements. At the conclusion of the war, he Returned to Australia, 15 May 1919. 1164 Private George Cuppage FOUNTAIN, a 19 year old Labourer from Gladstone, Queensland. He enlisted on 4 March 1915 with the 2nd Light Horse Regiment, 8th Reinforcements. At the conclusion of the war, he Returned to Australia, 15 May 1919. 3118 Private Daniel Thomas FOX, a 21 year old Labourer from Belalie Nth, South Australia. He enlisted on 6 September 1916 with the 3rd Light Horse Regiment, 24th Reinforcements. At the conclusion of the war, he Returned to Australia, 15 May 1919. 3238 Private Edward Bernard FOX, a 26 year old Fitter from Maryborough, Queensland. He enlisted on 12 January 1917 with the 2nd Light Horse Regiment, 26th Reinforcements. At the conclusion of the war, he Returned to Australia, 15 May 1919. 2817 Private James Joseph FOX, a 31 year old Labourer from Newtown, New South Wales. He enlisted on 15 January 1916 with the 1st Light Horse Regiment, 19th Reinforcements. At the conclusion of the war, he Returned to Australia, 12 June 1919. 2871 Private William George FOX, an 18 year old Station hand from Renmark, South Australia. He enlisted on 1 March 1916 with the 3rd Light Horse Regiment, 20th Reinforcements. He subsequently was Killed in Action, 11 November 1917. 1208 Private Thomas George FOXE, a 20 year old Carpenter from Narrabri, New South Wales. He enlisted on 23 June 1915 with the 1st Light Horse Regiment, 8th Reinforcements. At the conclusion of the war, he Returned to Australia, 15 May 1919. 3710 Private Henry FRANCIS, a 26 year old Labourer from Mallala, South Australia. He enlisted on 29 October 1917 with the 3rd Light Horse Regiment, 34th Reinforcements. At the conclusion of the war, he Returned to Australia, 23 December 1918. 2815 Private Leslie Gordon FRANKLIN, a 23 year old Farm hand from Mt Hunter, New South Wales. He enlisted on 8 December 1915 with the 1st Light Horse Regiment, 19th Reinforcements. He subsequently Returned to Australia, 1 March 1918. 488 Private Earle William Lonby FROST, a 23 year old Labourer from Gilgandra, New South Wales. He enlisted on 28 August 1914 with the 1st Light Horse Regiment, C Squadron. At the conclusion of the war, he Returned to Australia, 15 November 1918. 52706 Private Harold Hughes FURNER, an 18 year old Grazier from Goulburn, New South Wales. He enlisted on 18 February 1918 with the 2nd General Service Reinforcements, New South Wales. At the conclusion of the war, he Returned to Australia, 15 May 1919. 415 Private Hudson FYSH, a 19 year old Wool classer from St Leonards, Tasmania. He enlisted on 25 August 1914 with the 3rd Light Horse Regiment, C Squadron. At the conclusion of the war, he Returned to Australia, 5 March 1919. 2175 Acting Corporal John Anthony GANNON, a 23 year old Butcher from Jumbunna, Victoria. He enlisted on 16 August 1915 with the 4th Light Horse Regiment, 15th Reinforcements. At the conclusion of the war, he Returned to Australia, 18 February 1919. 49 Private Roy Gordon GARVIE, a 19 year old Law Clerk from Aldgate, South Australia. He enlisted on 19 August 1914 with the 3rd Light Horse Regiment, Machine Gun Section. At the conclusion of the war, he Returned to Australia, 16 May 1919. 1767 Private Jack GEDDES, a 19 year old Farm hand from Toowoomba, Queensland. He enlisted on 3 September 1915 with the 2nd Light Horse Regiment, 12th Reinforcements. At the conclusion of the war, he Returned to Australia, 15 May 1919 . 610 Private James William GIBBS, a 21 year old Station hand from Newcastle, New South Wales. He enlisted on 5 September 1914 with the 1st Light Horse Regiment, 1st Reinforcements. At the conclusion of the war, he Returned to Australia, 15 November 1918. 3416 Private William Alfred GIBBS, a 20 year old Bank clerk from Charters Towers, Queensland. He enlisted on 12 February 1917 with the 2nd Light Horse Regiment, 29th Reinforcements. At the conclusion of the war, he Returned to Australia, 10 April 1919. 52642 Private James GIBSON, a 21 year old Labourer from Coffs Harbor, New South Wales. He enlisted on 14 May 1918 with the 2nd General Service Reinforcements, Queensland. At the conclusion of the war, he Returned to Australia, 15 May 1919. 520 Private Harry GILL, a 23 year old Farmer from Murwillumbah, New South Wales. He enlisted on 2 September 1914 with the 2nd Light Horse Regiment, C Squadron. At the conclusion of the war, he Returned to Australia, 23 December 1918. 773 Private Richard GLOSTER, a 28 year old Overseer from Ormiston, Queensland. He enlisted on 16 December 1914 with the 2nd Light Horse Regiment, 3rd Reinforcements. At the conclusion of the war, he Returned to Australia, 15 May 1919 . 50511 Private Edward Vernon GOLDSMITH, an 18 year old Mercantile Clerk from Adelaide, South Australia. He enlisted on 2 December 1917 with the 1st General Service Reinforcements, South Australia. At the conclusion of the war, he Returned to Australia, 24 July 1919. 2633 Private Clifford Roy GOODGER, a 21 year old Farmer from Gawler, South Australia. He enlisted on 29 January 1916 with the 3rd Light Horse Regiment, 19th Reinforcements. At the conclusion of the war, he Returned to Australia, 4 March 1919. 2634 Private Elliott Chivell GOODGER, a 19 year old Farmer from Gawler, South Australia. He enlisted on 3 February 1916 with the 3rd Light Horse Regiment, 19th Reinforcements. He subsequently Returned to Australia, 1 March 1918. 2811 Private William John GOODGER, a 27 year old Labourer from Footscray, Victoria. He enlisted on 9 November 1915 with the 4th Light Horse Regiment, 19th Reinforcements. At the conclusion of the war, he Returned to Australia, 15 May 1919. 79 Private Charles John GORDON, a 32 year old Farm Labourer from Pingelly, Western Australia. He enlisted on 27 February 1917 with the 1st Light Horse Machine Gun Squadron, 4th Reinforcements. At the conclusion of the war, he Returned to Australia, 15 May 1919. 3 Private Jack GORDON, a 25 year old Labourer from Lyrup, South Australia. He enlisted on 14 December 1916 with the 1st Light Horse Machine Gun Squadron, 1st Reinforcements. He subsequently Returned to Australia, 12 July 1918. 57 Driver William George GORDON, a 38 year old Cycle maker from Collage Park, South Australia. He enlisted on 27 August 1914 with the 3rd Light Horse Regiment, Machine Gun Section. At the conclusion of the war, he Returned to Australia, 13 April 1919. 3727 Private Theo Eric GOVAN, an 18 year old Fireman from Kingswood, South Australia. He enlisted on 16 July 1917 with the 3rd Light Horse Regiment, 34th Reinforcements. At the conclusion of the war, he Returned to Australia, 15 May 1919. 1475 Private David Gordon GRAHAM, a 23 year old Farrier from Footscray, Victoria. He enlisted on 10 July 1915 with the 4th Light Horse Regiment, 11th Reinforcements. At the conclusion of the war, he Returned to Australia, 15 May 1919 . 560 Private James Joseph GREATOREX, a 28 year old Mechanical Engineer from Grahamstown, New South Wales. He enlisted on 14 September 1914 with the 1st Light Horse Regiment, B Squadron. At the conclusion of the war, he Returned to Australia, 16 March 1919. 2635 Private Patrick Cecil GREER, a 27 year old Labourer from Yarrah, South Australia. He enlisted on 1 February 1916 with the 3rd Light Horse Regiment, 19th Reinforcements. He subsequently Returned to Australia, 8 March 1917. 1195 Private Ronald GREGGERY, a 35 year old Farmer from Berrigan, Victoria. He enlisted on 10 June 1915 with the 4th Light Horse Regiment, 8th Reinforcements. He subsequently Returned to Australia, 30 August 1918. 3357 Private Thomas Hisgrove GREGORY, a 26 year old Stockman from Oodnadatta, South Australia. He enlisted on 5 January 1917 with the 3rd Light Horse Regiment, 28th Reinforcements. At the conclusion of the war, he Returned to Australia, 15 May 1919. 3177 Private Harry Emmet GRIBBON, a 23 year old Labourer from Darwin NT. He enlisted on 8 May 1916 with the 2nd Light Horse Regiment, 25th Reinforcements. At the conclusion of the war, he Returned to Australia, 15 May 1919. 1339 Private William GRIFFIN, a 33 year old Driver from Hyde Park, South Australia. He enlisted on 31 May 1915 with the 3rd Light Horse Regiment, 10th Reinforcements. At the conclusion of the war, he Returned to Australia, 23 December 1918. 57 Private David William GRIFFITHS, a 19 year old Farmer from Moora, Western Australia. He enlisted on 20 February 1917 with the 1st Light Horse Machine Gun Squadron, 3rd Reinforcements. At the conclusion of the war, he Returned to Australia, 4 March 1919. 2818 Private William Edward GRIMSHAW, a 32 year old Surveyors assistant from Canowindra, New South Wales. He enlisted on 17 January 1916 with the 1st Light Horse Regiment, 19th Reinforcements. He subsequently Returned to Australia, 15 February 1918. 4488 Private John William GRIVES, a 33 year old Labourer from Glebe, New South Wales. He enlisted on 29 October 1917 with the Light Horse Reinforcements. At the conclusion of the war, he Returned to Australia, 5 March 1919. 2334 Private John Clements GUATTA, an 18 year old Labourer from Walhalla, Victoria. He enlisted on 1 February 1916 with the 4th Light Horse Regiment, 16th Reinforcements. At the conclusion of the war, he Returned to Australia, 24 July 1919. 59 Lance Corporal Henry HACKNEY, a 33 year old Policeman from Police Deport Brisbane, Queensland. He enlisted on 28 August 1914 with the 2nd Light Horse Regiment, Machine Gun Section Returned to Australia, N/R. 873 Private Cephas George HAINES, a 21 year old Farmer from Miram, Victoria. He enlisted on 2 November 1914 with the 4th Light Horse Regiment, 4th Reinforcements. At the conclusion of the war, he Returned to Australia, 4 March 1919. 1769 Private Benjamin HALL, a 27 year old Jockey from Cairns, Queensland. He enlisted on 16 September 1915 with the 2nd Light Horse Regiment, 12th Reinforcements. At the conclusion of the war, he Returned to Australia, 16 May 1919. 110 Private Stanley Dawson HALL, a 23 year old Farmer from Morwell, Victoria. He enlisted on 23 August 1914 with the 4th Light Horse Regiment, A Squadron. At the conclusion of the war, he Returned to Australia, 15 November 1918. 1095 Private Wilfred John HALL, a 27 year old Stockman from Adelaide, South Australia. He enlisted on 8 January 1915 with the 3rd Light Horse Regiment, 7th Reinforcements. At the conclusion of the war, he Returned to Australia, 16 May 1919. 2636 Private Everard Llewellyn HAMP, an 18 year old Labourer from Sheringa, South Australia. He enlisted on 31 January 1916 with the 3rd Light Horse Regiment, 19th Reinforcements. At the conclusion of the war, he Returned to Australia, 19 January 1919. 2937 Private Arthur Sydney HARDWICK, a 21 year old Labourer from Esplanade. He enlisted on 26 April 1916 with the 2nd Light Horse Regiment, 21st Reinforcements. At the conclusion of the war, he Returned to Australia, 28 January 1919. 1094 Private Arthur Wade HARLAND, a 21 year old Station hand from Charlton, Victoria. He enlisted on 3 March 1915 with the 1st Light Horse Regiment, 7th Reinforcements. At the conclusion of the war, he Returned to Australia, 15 March 1919. 56980 Private Geoffrey HARLUM, a 23 year old Labourer from Marrickville, New South Wales. He enlisted on 7 November 1917 with the 3rd General Service Reinforcements, New South Wales. At the conclusion of the war, he Returned to Australia, 15 May 1919. 264 Lance Corporal Clement Wellington HARRIS, a 23 year old Bank clerk from Wermatong, New South Wales. He enlisted on 19 August 1914 with the 1st Light Horse Regiment, B Squadron. At the conclusion of the war, he Returned to Australia, 25 December 1918. 3286 Acting Sergeant Guy McGeorge HARRIS, a 24 year old Farmer from Allendale North, South Australia. He enlisted on 28 February 1917 with the 3rd Light Horse Regiment, 27th Reinforcements. He subsequently Returned to Australia, 15 February 1917. 1861 Acting Sergeant Victor Seymour HARRIS, a 22 year old Stockman from Hackney, South Australia / Unley, South Australia. He enlisted on 3 September 1915 with the 3rd Light Horse Regiment, 13th Reinforcements. At the conclusion of the war, he Returned to Australia, 22 December 1918. 1603 Private William Charles HARRIS, a 23 year old Farmer from Forest Gate, Queensland. He enlisted on 9 August 1915 with the 2nd Light Horse Regiment, 12th Reinforcements. At the conclusion of the war, he Returned to Australia, 26 January 1919. 57531 Private William Richard HARRIS, a 24 year old Farmer from Three Springs, Western Australia. He enlisted on 11 December 1917 with the 4th General Service Reinforcements, Western Australia. At the conclusion of the war, he Returned to Australia, 16 May 1919. 559 Private Walter Robert HARTNETT, a 24 year old Teacher from Batlow, New South Wales. He enlisted on 14 September 1914 with the 1st Light Horse Regiment, B Squadron. At the conclusion of the war, he Returned to Australia, 15 June 1919. 2880 Private Cecil Johnston HARVEY, a 24 year old Farmer from Rawsonville, New South Wales. He enlisted on 18 January 1916 with the 1st Light Horse Regiment, 20th Reinforcements. At the conclusion of the war, he Returned to Australia, 16 August 1919. 50322 Private Stanley Thomas HAWKINS, an 18 year old Flour Miller from Gulgong, New South Wales. He enlisted on 19 August 1917 with the 1st General Service Reinforcements, New South Wales. At the conclusion of the war, he Returned to Australia, 16 May 1919. 56911 Private William Henry HEDGES, a 19 year old Farm hand from Helidon, Queensland. He enlisted on 8 May 1918 with the 3rd General Service Reinforcements, Queensland. At the conclusion of the war, he Returned to Australia, 16 May 1919. 163 Lance Corporal Denis HEENAN, a 31 year old Farmer from Laidley, Queensland. He enlisted on 25 August 1914 with the 2nd Light Horse Regiment, A Squadron. At the conclusion of the war, he Returned to Australia, 12 December 1919. 32 Private George Albert Ernest HEIGHT, a 28 year old Blacksmith from Wagin, Western Australia. He enlisted on 28 February 1917 with the 1st Light Horse Machine Gun Squadron, 2nd Reinforcements. At the conclusion of the war, he Returned to Australia, 16 May 1919. 50524 Private Gilbert Bruce HENDERSON, an 18 year old Student from Adelaide, South Australia. He enlisted on 2 November 1917 with the 1st General Service Reinforcements, South Australia. At the conclusion of the war, he Returned to Australia, 20 May 1920. 1599 Private Leslie HENDERSON, a 33 year old Fitter from Nth Killarney, Queensland. He enlisted on 12 February 1915 with the 2nd Light Horse Regiment, 12th Reinforcements. At the conclusion of the war, he Returned to Australia, 15 June 1919. 2637 Private Thomas HENDERSON, a 24 year old Labourer from Torrensville, South Australia. He enlisted on 29 January 1916 with the 3rd Light Horse Regiment, 19th Reinforcements. At the conclusion of the war, he Returned to Australia, 29 April 1919. 301 Private Ernest HETLEY, a 36 year old Clerk from Broken Hill, New South Wales. He enlisted on 24 August 1914 with the 3rd Light Horse Regiment, B Squadron. At the conclusion of the war, he Returned to Australia, 23 December 1918. 116 Private Samuel George Bruce HEUGH, a 21 year old Apiarist from Woodburn, New South Wales. He enlisted on 21 September 1914 with the 5th Light Horse Regiment, B Squadron. At the conclusion of the war, he Returned to Australia, 15 November 1918. 2457 Private Sidney HILL-SMITH, an 18 year old Scholer from Angaston, South Australia. He enlisted on 5 February 1916 with the 3rd Light Horse Regiment, 17th Reinforcements. He subsequently Returned to Australia, 23 September 1916. 2073 Private Lawrence Evelyn HOARE-SMITH, an 18 year old Labourer from Toowoomba, Queensland. He enlisted on 15 October 1915 with the 2nd Light Horse Regiment, 14th Reinforcements. At the conclusion of the war, he Returned to Australia, 22 December 1918. 1303 Acting Corporal Ernest HODGSON, an 18 year old Drover Grazier from Retreat Surat, Queensland. He enlisted on 20 May 1915 with the 2nd Light Horse Regiment, 10th Reinforcements. At the conclusion of the war, he Returned to Australia, 16 May 1919. 57509 Private Arthur Joseph Edgar HOGBEN, a 19 year old Horse driver from Prospect, South Australia. He enlisted on 13 May 1918 with the 4th General Service Reinforcements, South Australia. At the conclusion of the war, he Returned to Australia, 16 May 1919. 4 Private Charles Edward HOGDEN, a 21 year old Labourer from Mundooran, New South Wales. He enlisted on 2 December 1916 with the 1st Light Horse Machine Gun Squadron, 1st Reinforcements. He subsequently Returned to Australia, 28 December 1917. 2805 Private James Lyall HOGGARTH, a 28 year old Farmer from Port Lincoln, South Australia. He enlisted on 10 January 1916 with the 3rd Light Horse Regiment, 19th Reinforcements. At the conclusion of the war, he Returned to Australia, 26 January 1919. 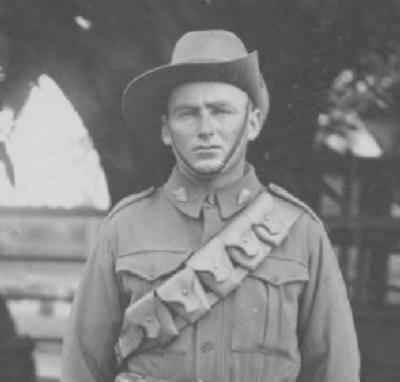 1050 Private Leslie Sydney HORDER, a 24 year old Grazier from Willoughby, New South Wales. He enlisted on 13 April 1915 with the 1st Light Horse Regiment, 6th Reinforcements. At the conclusion of the war, he Returned to Australia, 6 September 1919. 5 Private Geroge Clarence Johnston HOUSE, a 22 year old Farmer from Cundletown, New South Wales. He enlisted on 11 November 1916 with the 1st Light Horse Machine Gun Squadron, 1st Reinforcements. At the conclusion of the war, he Returned to Australia, 15 May 1919. 134 Private Herbert William HOWARD, a 27 year old Farm manager from Nedlands, Western Australia. He enlisted on 5 October 1916 with the 1st Light Horse Machine Gun Squadron, 6th Reinforcements. He subsequently Returned to Australia, 21 December 1917. 155 Private Thomas Charles HOWARD, an 18 year old Farmer from Kenwick, Western Australia. He enlisted on 29 June 1917 with the 1st Light Horse Machine Gun Squadron, 7th Reinforcements. At the conclusion of the war, he Returned to Australia, 15 May 1919. 3194 Private George HUDSON, a 27 year old Miner from Yacka, South Australia. He enlisted on 17 November 1916 with the 3rd Light Horse Regiment, 25th Reinforcements. He subsequently Returned to Australia, 12 November 1917. 80 Private Reginald Arthur HUMMERSTON, a 28 year old Clerk from East Melbourne, Victoria. He enlisted on 27 February 1917 with the 1st Light Horse Machine Gun Squadron, 4th Reinforcements. At the conclusion of the war, he Returned to Australia, 4 March 1919. 2838 Private Francis Walter HUMPHREYS, a 23 year old Stockman from Glenbowden, Queensland. He enlisted on 8 February 1916 with the 2nd Light Horse Regiment, 19th Reinforcements. At the conclusion of the war, he Returned to Australia, 19 April 1919. 3479 Private Ernest Edwin HUNT, a 26 year old Farmer from Glandore, South Australia. He enlisted on 27 October 1916 with the 3rd Light Horse Regiment, 30th Reinforcements. At the conclusion of the war, he Returned to Australia, 15 May 1919. 2815 Private Frank Kendrick HUXHAM, a 21 year old Station hand from Toowoomba, Queensland. He enlisted on 11 February 1916 with the 2nd Light Horse Regiment, 19th Reinforcements. He subsequently Returned to Australia, 12 November 1917 . 1027 Private William Kenneth INCE, a 19 year old Labourer from Rockhampton, Queensland. He enlisted on 6 January 1915 with the 2nd Light Horse Regiment, 6th Reinforcements. At the conclusion of the war, he Returned to Australia, 26 December 1918. 1247 Private Charles Albert Hope INGRAM, a 21 year old Labourer from Dellicknora, Victoria. He enlisted on 3 April 1915 with the 1st Light Horse Regiment, 9th Reinforcements. He subsequently Returned to Australia, 15 February 1918. 3046 Private Aubrey Oswald IRELAND, a 23 year old Farmer from Mullumbimby, New South Wales. He enlisted on 10 October 1916 with the 2nd Light Horse Regiment, 23rd Reinforcements. At the conclusion of the war, he Returned to Australia, 15 May 1919. 11244 Private James William IVES, an 18 year old Brickmaker from Oxley Brisbane, Queensland. He enlisted on 5 October 1915 with the Australian Army Medical Corps, 18th Reinforcements. At the conclusion of the war, he Returned to Australia, 2 August 1919. 57169 Private Alfred JAENSCH, a 21 year old Butcher from Ambleside, South Australia. He enlisted on 6 February 1918 with the 3rd General Service Reinforcements, South Australia. At the conclusion of the war, he Returned to Australia, 13 June 1919. 2639 Private Samuel Vivian JAMES, an 18 year old Gardener from Chain of Ponds, South Australia. He enlisted on 27 January 1916 with the 3rd Light Horse Regiment, 19th Reinforcements. At the conclusion of the war, he Returned to Australia, 15 May 1919. 179 Private Richard Francis JEFFREY, a 29 year old Horse breaker from Maitland, New South Wales. He enlisted on 14 August 1914 with the 1st Light Horse Regiment, C Squadron. At the conclusion of the war, he Returned to Australia, 23 December 1918. 127 Private Cecil Edward JONES, a 20 year old Labourer from Cessnock, New South Wales. He enlisted on 22 August 1914 with the 1st Light Horse Regiment, A Squadron. At the conclusion of the war, he Returned to Australia, 15 November 1918. 50330 Private Ebenezer Roy JONES, a 19 year old Drapers Assistant from Tamworth, New South Wales. He enlisted on 21 November 1917 with the 1st General Service Reinforcements, New South Wales. At the conclusion of the war, he Returned to Australia, 21 January 1919. 3063 Private Frank Stanford JONES, a 26 year old Farmer from Woodville, South Australia. He enlisted on 28 August 1916 with the 3rd Light Horse Regiment, 23rd Reinforcements. At the conclusion of the war, he Returned to Australia, 9 July 1919. 81 Private Henry Morgan JONES, a 37 year old Farmer from Ballarat, Victoria. He enlisted on 15 September 1916 with the 1st Light Horse Machine Gun Squadron, 4th Reinforcements. He subsequently Returned to Australia, 4 October 1918. 2421 Private Gordon JOWETT, a 22 year old Butcher from Hurstville, New South Wales. He enlisted on 4 January 1916 with the 1st Light Horse Regiment, 16th Reinforcements. At the conclusion of the war, he Returned to Australia, 1 November 1919. 787 Private John JOWETT, a 19 year old Labourer from East Greta, New South Wales. He enlisted on 27 November 1914 with the 1st Light Horse Regiment, 3rd Reinforcements. At the conclusion of the war, he Returned to Australia, 16 May 1919. 234 Private Lord Alfred KANE, a 21 year old Motor driver from Darlinghurst, New South Wales. He enlisted on 9 September 1914 with the 1st Light Horse Regiment, A Squadron. At the conclusion of the war, he Returned to Australia, 16 May 1919. 313 Private James Morell McKenzie KAY, a 21 year old Loco Cleaner from Mt Gambier, South Australia. He enlisted on 24 August 1914 with the 3rd Light Horse Regiment, B Squadron. He subsequently Returned to Australia, 12 November 1917. 312 Private Arthur Gustof KEANE, a 20 year old Labourer from Reynella, South Australia. He enlisted on 21 August 1914 with the 3rd Light Horse Regiment, B Squadron. At the conclusion of the war, he Returned to Australia, 7 January 1919. 417 Private Albert Cheeseman KEMP, a 24 year old Sheep Overseer from Prairie, Queensland. He enlisted on 15 September 1914 with the 2nd Light Horse Regiment, B Squadron. He subsequently Died of Wounds, 14 April 1918. 627 Private Humphrey Courtenay Gilbert KEMPE, a 19 year old Clerk from Somerton via Glenelg, South Australia. He enlisted on 24 October 1914 with the 3rd Light Horse Regiment, 1st Reinforcements. At the conclusion of the war, he Returned to Australia, 15 November 1918. 1607 Private Israel KENNEDY, a 22 year old Stockman from Eton Mackay, Queensland. He enlisted on 24 July 1915 with the 2nd Light Horse Regiment, 12th Reinforcements. He subsequently Returned to Australia, 12 November 1917. 2192 Private John KENNEDY, a 25 year old Bootmaker from Quorn, South Australia. He enlisted on 8 November 1915 with the 3rd Light Horse Regiment, 15th Reinforcements. At the conclusion of the war, he Returned to Australia, 16 May 1919. 56992 Private David Michael KENT, a 24 year old Farmer from Orange, New South Wales. He enlisted on 9 March 1918 with the 3rd General Service Reinforcements, New South Wales. At the conclusion of the war, he Returned to Australia, 16 May 1919. 2474 Private Donald Frederick KERR, a 21 year old Stockman from Sunnyside, New South Wales. He enlisted on 3 January 1916 with the 1st Light Horse Regiment, 17th Reinforcements. At the conclusion of the war, he Returned to Australia, 16 May 1919. 2816 Private Robert John KERRIGAN, a 20 year old Labourer from Cunnamulla, Queensland. He enlisted on 4 February 1916 with the 2nd Light Horse Regiment, 19th Reinforcements. At the conclusion of the war, he Returned to Australia, 16 March 1919. 2943 Private Ernest William KIDD, a 41 year old Ploughman from Mossman, Queensland. He enlisted on 8 April 1916 with the 2nd Light Horse Regiment, 21st Reinforcements. He subsequently was Killed in Action, 12 April 1918. 21 Driver Leslie Austin KIMBALL, a 22 year old Farmer from Albury, New South Wales. He enlisted on 24 August 1914 with the 1st Light Horse Regiment, Regimental Headquarters. At the conclusion of the war, he Returned to Australia, 15 November 1918. 1613 Private Richard William KIRBY, a 22 year old Labourer from Murray Bridge, South Australia. He enlisted on 30 August 1915 with the 3rd Light Horse Regiment, 12th Reinforcements. At the conclusion of the war, he Returned to Australia, 17 July 1919. 2817 Private Duncan KIRK, a 23 year old Fruiter from Woombye, Queensland. He enlisted on 3 March 1916 with the 2nd Light Horse Regiment, 19th Reinforcements. At the conclusion of the war, he Returned to Australia, 16 May 1919. 2652 Private John Ernest KLINGBERG, a 24 year old Farmer from Quorn, South Australia. He enlisted on 11 February 1916 with the 3rd Light Horse Regiment, 19th Reinforcements. At the conclusion of the war, he Returned to Australia, 16 May 1919. 2806 Private Fred Johnston KNOWLING, a 25 year old Farmer from Bordertown, South Australia. He enlisted on 12 February 1916 with the 3rd Light Horse Regiment, 19th Reinforcements. He subsequently Died of Wounds, 12 November 1917. 2194 Private Harry Davidson LANE, a 38 year old Colt breaker from Port Pirie, South Australia. He enlisted on 1 December 1915 with the 3rd Light Horse Regiment, 16th Reinforcements. He subsequently Returned to Australia, 12 November 1917. 56917 Private Kenneth Allan LANG, a 21 year old Grazier from Juinbour, Queensland. He enlisted on 2 May 1918 with the 3rd General Service Reinforcements, Queensland. At the conclusion of the war, he Returned to Australia, 15 May 1919. 2818 Private William Roy LANG, a 26 year old Selector from Canaga, Queensland. He enlisted on 2 March 1916 with the 2nd Light Horse Regiment, 19th Reinforcements. He subsequently Died of Wounds, 31 October 1917. 1760 Private Thomas David LARKIN, a 23 year old Station hand from White Cliffs, South Australia. He enlisted on 10 September 1915 with the 3rd Light Horse Regiment, 12th Reinforcements. At the conclusion of the war, he Returned to Australia, 29 January 1919. 64480 Private Mervyn Barton LAVENDER, an 18 year old Bank Clerk from Ivanhoe, Victoria. He enlisted on 27 February 1918 with the 6th General Service Reinforcements, Victoria. At the conclusion of the war, he Returned to Australia, 15 May 1919. 3197 Private Daniel LEE, a 42 year old Shearer from Amby, Queensland. He enlisted on 23 August 1916 with the 2nd Light Horse Regiment, 25th Reinforcements. At the conclusion of the war, he Returned to Australia, 2 January 1919. 4509 Acting Corporal Harold George LEE, a 25 year old Teacher from Rockdale, New South Wales. He enlisted on 24 September 1917 with the Light Horse Reinforcements. At the conclusion of the war, he Returned to Australia, 28 June 1919 . 6 Private John Henry LESTER, a 26 year old Groom from East Ballarat, Victoria. He enlisted on 1 December 1916 with the 1st Light Horse Machine Gun Squadron, 1st Reinforcements. At the conclusion of the war, he Returned to Australia, 18 May 1919. 2881 Private Bernard LEVINS, a 28 year old Cordialmaker from Clifton, Queensland. He enlisted on 27 January 1916 with the 2nd Light Horse Regiment, 20th Reinforcements. At the conclusion of the war, he Returned to Australia, 26 July 1919. 82 Private James Alexander LIETCH, a 27 year old Farmer from Corrigin, Western Australia. He enlisted on 2 March 1917 with the 1st Light Horse Machine Gun Squadron, 4th Reinforcements. At the conclusion of the war, he Returned to Australia, 15 May 1919. 2820 Private Bert LINFORTH, a 23 year old Labourer from Toowoomba, Queensland. He enlisted on 2 March 1916 with the 2nd Light Horse Regiment, 19th Reinforcements. He subsequently Returned to Australia, 28 December 1917. 3243 Private Ernest LITCHFIELD, a 27 year old Grazier from Toolong, Queensland. He enlisted on 9 November 1916 with the 1st Light Horse Regiment, 26th Reinforcements. At the conclusion of the war, he Returned to Australia, 15 May 1919. 1350 Private Charles William Henry LITTLE, a 27 year old Stockman from Toogoolawah, Queensland. He enlisted on 5 October 1915 with the 11th Light Horse Regiment, 7th Reinforcements. At the conclusion of the war, he Returned to Australia, 15 May 1919. 585 Private George LITTLE, a 20 year old Horse driver from Redfern, New South Wales. He enlisted on 30 December 1914 with the 13th Battalion, 3rd Reinforcements. At the conclusion of the war, he Returned to Australia, 5 March 1919. 56995 Private Reginald Cyril LOADER, a 19 year old Labourer from Bunongong, New South Wales. He enlisted on 26 April 1918 with the 3rd General Service Reinforcements, New South Wales. At the conclusion of the war, he Returned to Australia, 15 May 1919. 2883 Private Thistle Sydney LOGAN, a 23 year old Miller from Nth Sydney, New South Wales. He enlisted on 29 April 1915 with the 1st Light Horse Regiment, 20th Reinforcements. At the conclusion of the war, he Returned to Australia, 2 August 1919. 2819 Private Jeremiah Ernest LONG, a 25 year old Farmer from Calliope, Queensland. He enlisted on 2 February 1916 with the 2nd Light Horse Regiment, 19th Reinforcements. At the conclusion of the war, he Returned to Australia, 17 July 1919. 446 Private John James LONG, a 21 year old Clerk from Glebe, Tasmania. He enlisted on 25 August 1914 with the 3rd Light Horse Regiment, C Squadron. He subsequently Returned to Australia, 8 October 1918. 23 Private Charles LOVE, a 24 year old Hospital dresser from Brisbane, Queensland. He enlisted on 19 August 1914 with the 3rd Field Ambulance, A Section. At the conclusion of the war, he Returned to Australia, 15 November 1919. 135 Private Garnet Sadler LOVERIDGE, a 30 year old Farmer from Guildford, Western Australia. He enlisted on 11 June 1917 with the 1st Light Horse Machine Gun Squadron, 6th Reinforcements. At the conclusion of the war, he Returned to Australia, 15 May 1919. 3688 Private Frederick LYONS, an 18 year old Labourer from Balmain, New South Wales. He enlisted on 1 May 1917 with the Imperial Camel Corps, 14th Reinforcements. At the conclusion of the war, he Returned to Australia, 15 June 1919. 621 Private Alexander Sidney MacKAY, a 28 year old Grocer from Goulburn, New South Wales. He enlisted on 10 September 1914 with the 1st Light Horse Regiment, 1st Reinforcements. He subsequently Returned to Australia, 21 November 1916. 2352 Private John Brims MacKAY, a 21 year old Labourer from Longwarry, Victoria / Dulwich Hill, New South Wales. He enlisted on 1 December 1915 with the 4th Light Horse Regiment, 16th Reinforcements. He subsequently Returned to Australia, 8 March 1917. 18664 Private Walter Graham MacKENZIE, a 20 year old Surgical manufacturer from Croydon, New South Wales. He enlisted on 19 April 1917 with the 1st Light Horse Field Ambulance, 32nd Reinforcements. At the conclusion of the war, he Returned to Australia, 16 May 1919. 2883 Private John MacKINNON, a 31 year old Labourer from Exeter, South Australia. He enlisted on 2 March 1916 with the 3rd Light Horse Regiment, 21st Reinforcements. At the conclusion of the war, he Returned to Australia, 16 May 1919 . 1702 Private Dennis MAHONEY, an 18 year old Labourer from Dulverton, Tasmania. He enlisted on 13 September 1915 with the 3rd Light Horse Regiment, 12th Reinforcements. At the conclusion of the war, he Returned to Australia, 5 March 1919. 353 Private Eric Henry MAKEHAM, a 25 year old Farm Labourer from Brisbane, Queensland. He enlisted on 21 August 1914 with the 2nd Light Horse Regiment, B Squadron. He subsequently Returned to Australia, 15 February 1918. 2338 Private John MARGITICH, a 23 year old Blacksmith from Adelaide, South Australia. He enlisted on 30 December 1915 with the 3rd Light Horse Regiment, 16th Reinforcements. He subsequently Returned to Australia, 21 May 1917. 976 Private Edward William John MARSH, a 29 year old Traveller from Mosman, New South Wales. He enlisted on 11 January 1915 with the 1st Light Horse Regiment, 5th Reinforcements. He subsequently Died of Disease, 23 August 1919. 2880 Private William Henry MARSH, an 18 year old Labourer from Renmark, South Australia. He enlisted on 1 March 1916 with the 3rd Light Horse Regiment, 20th Reinforcements. At the conclusion of the war, he Returned to Australia, 23 December 1918. Lieutenant Andrew MARTIN, a 26 year old Clerk from Sherwood, Queensland. He enlisted on 24 August 1914 with the 2nd Light Horse Regiment, Machine Gun Section. He subsequently Returned to Australia, 30 March 1918. 3727 Private Alexander MATHESON, a 32 year old Labourer from Millicent, South Australia. He enlisted on 12 June 1917 with the 9th Light Horse Regiment, 34th Reinforcements. At the conclusion of the war, he Returned to Australia, 29 April 1919. 3695 Private Raymond MATHISON, an 18 year old Bush worker from Myall, New South Wales. He enlisted on 31 May 1917 with the 1st Light Horse Regiment, 33rd Reinforcements. At the conclusion of the war, he Returned to Australia, 29 April 1919. 50343 Private William Class McALPIN, a 26 year old Farmer from Glen Alpin via Singleton, New South Wales. He enlisted on 21 January 1918 with the 1st General Service Reinforcements, New South Wales. At the conclusion of the war, he Returned to Australia, 16 May 1919. 2430 Private Charles Leslie McCONACHY, a 22 year old Drover from Spring Hill Toowoomba, Queensland. He enlisted on 13 December 1915 with the 2nd Light Horse Regiment, 16th Reinforcements. At the conclusion of the war, he Returned to Australia, 13 March 1919. 52725 Private John Percival McCRABB, an 18 year old Grazier from Emerald Hill via Gunnedah, New South Wales. He enlisted on 24 January 1918 with the 2nd General Service Reinforcements, New South Wales. At the conclusion of the war, he Returned to Australia, 15 May 1919. 3167 Private Donald Stewart McDONALD, a 31 year old Labourer from Red Range, New South Wales. He enlisted on 5 March 1917 with the Imperial Camel Corps, 11th Reinforcements. At the conclusion of the war, he Returned to Australia, 29 April 1919. 65 Private Frank Joseph McDONALD, a 22 year old Electrician from Paddington, New South Wales. He enlisted on 24 August 1914 with the 1st Light Horse Regiment, Machine Gun Section. At the conclusion of the war, he Returned to Australia, 16 May 1919. 1976 Private Stanley Edwin McDOWELL, an 18 year old Labourer from Woolsthorpe, Victoria. He enlisted on 14 July 1915 with the 4th Light Horse Regiment, 13th Reinforcements. At the conclusion of the war, he Returned to Australia, 4 March 1919. 800 Private William McKENZIE, a 23 year old Farmer from Nth Hazelwood via Morwell, Victoria. He enlisted on 25 October 1914 with the 4th Light Horse Regiment, 3rd Reinforcements. At the conclusion of the war, he Returned to Australia, 15 June 1919. 52653 Private James Patrick McKEON, a 21 year old Mail driver from Dalby, Queensland. He enlisted on 5 April 1918 with the 2nd General Service Reinforcements, Queensland. At the conclusion of the war, he Returned to Australia, 16 May 1919. 50344 Private Malcolm Frederick McKERRELL, a 25 year old Farmer from Chatsbury via Goulburn, New South Wales. He enlisted on 5 February 1918 with the 1st General Service Reinforcements, New South Wales. At the conclusion of the war, he Returned to Australia, 16 May 1919. 2824 Private Martin Francis McMAHON, a 20 year old Loco fireman from Gowrie Juntion via Toowoomba, Queensland. He enlisted on 31 December 1915 with the 2nd Light Horse Regiment, 19th Reinforcements. At the conclusion of the war, he Returned to Australia, 1 January 1919. 1258 Private Leslie Macquarie McMAUGH, a 37 year old Farmer from Port Macquarie, New South Wales. He enlisted on 8 June 1915 with the 1st Light Horse Regiment, 9th Reinforcements. At the conclusion of the war, he Returned to Australia, 26 December 1918. 2827 Private Leonard McNEILL, a 22 year old Cabinetmaker from Kempsey, New South Wales. He enlisted on 19 January 1916 with the 1st Light Horse Regiment, 19th Reinforcements. At the conclusion of the war, he Returned to Australia, 15 May 1919. 52721 Private John MENZ, a 24 year old Farmer from Wagga, New South Wales. He enlisted on 7 June 1916 with the 2nd General Service Reinforcements, New South Wales. At the conclusion of the war, he Returned to Australia, 15 May 1919. 1330 Private George MILLER, a 22 year old Boundryrider from Sandringham, Victoria. He enlisted on 28 July 1915 with the 4th Light Horse Regiment, 10th Reinforcements. At the conclusion of the war, he Returned to Australia, 12 June 1919. 57511 Private Samuel Henry MILLS, a 27 year old Labourer from Beetaloo, South Australia. He enlisted on 5 June 1918 with the 4th General Service Reinforcements, South Australia. At the conclusion of the war, he Returned to Australia, 15 May 1919. 2881 Private Walter Pressey MILLS, a 24 year old Engine driver from Kalangedoo, South Australia. He enlisted on 15 March 1916 with the 3rd Light Horse Regiment, 20th Reinforcements. At the conclusion of the war, he Returned to Australia, 15 May 1919. 3689 Private Hugh MILNE, an 18 year old Farmer from The Rock via Wagga, New South Wales. He enlisted on 16 November 1917 with the Imperial Camel Corps, 14th Reinforcements. At the conclusion of the war, he Returned to Australia, 15 May 1919. 83 Private Edward MITCHELL, a 31 year old Farmer from Pingelly, Western Australia. He enlisted on 29 January 1917 with the 1st Light Horse Machine Gun Squadron, 4th Reinforcements. At the conclusion of the war, he Returned to Australia, 15 May 1919. 1647 Private Clarence Stewart MOORE, a 21 year old Grazier from Glenmore Inverell, New South Wales. He enlisted on 12 August 1915 with the 1st Light Horse Regiment, 12th Reinforcements. At the conclusion of the war, he Returned to Australia, 16 May 1919. 61 Private George Valentine MOORE, a 35 year old Stockman from Kanowna, Western Australia. He enlisted on 29 April 1917 with the 1st Light Horse Machine Gun Squadron, 3rd Reinforcements. At the conclusion of the war, he Returned to Australia, 5 March 1919. 2825 Private George William MOORE, a 22 year old Plumber from Katoomba, New South Wales. He enlisted on 15 January 1916 with the 1st Light Horse Regiment, 19th Reinforcements. At the conclusion of the war, he Returned to Australia, 16 May 1919. 1346 Private Arthur Richard MORCOM, a 23 year old Teacher from Owens, South Australia. He enlisted on 25 May 1915 with the 3rd Light Horse Regiment, 10th Reinforcements. At the conclusion of the war, he Returned to Australia, 15 May 1919. 3126 Private Ralph MORPHETT, a 27 year old Farmer from Clarendon, South Australia. He enlisted on 23 September 1916 with the 3rd Light Horse Regiment, 24th Reinforcements. At the conclusion of the war, he Returned to Australia, 15 May 1919. 14505 Private Leslie MORRIS, a 30 year old Salvation Army officer from Arncliffe, New South Wales. He enlisted on 6 December 1915 with the 1st Light Horse Field Ambulance, 19th Reinforcements. At the conclusion of the war, he Returned to Australia, 3 July 1919. 50347 Private Phillip Charles MORRIS, a 20 year old Orchardist from Orange, New South Wales. He enlisted on 15 October 1917 with the 1st General Service Reinforcements, New South Wales. At the conclusion of the war, he Returned to Australia, 15 May 1919. 52766 Private William Herbert MORRISSEY, an 18 year old Dairy Farmer from Deman, New South Wales. He enlisted on 2 May 1918 with the 2nd General Service Reinforcements, New South Wales. At the conclusion of the war, he Returned to Australia, 15 May 1919. 52727 Private George Edward MOUNTAIN, an 18 year old Engine cleaner from Glen Innes, New South Wales. He enlisted on 29 December 1917 with the 2nd General Service Reinforcements, New South Wales. At the conclusion of the war, he Returned to Australia, 15 May 1919. 975 Private James MULRONE, a 28 year old Labourer from Broadwater, New South Wales. He enlisted on 1 January 1915 with the 2nd Light Horse Regiment, 5th Reinforcements. He subsequently Returned to Australia, 23 September 1916. 2824 Private Harvey Turnbull MURDOCH, a 23 year old Dairy farmer from Menangle, New South Wales. He enlisted on 18 January 1916 with the 1st Light Horse Regiment, 19th Reinforcements. At the conclusion of the war, he Returned to Australia, 16 May 1919. 2655 Private Albert John MURRAY, a 24 year old Labourer from Richmond, Victoria. He enlisted on 4 January 1916 with the 4th Light Horse Regiment, 18th Reinforcements. At the conclusion of the war, he Killed in Action, 10 July 1918. 1108 Acting Corporal Archie MUTTON, a 22 year old Plumber from Adelaide, South Australia. He enlisted on 7 January 1915 with the 3rd Light Horse Regiment, 7th Reinforcements. At the conclusion of the war, he Returned to Australia, 16 May 1919. 34 Private Percy Carlyle NEVILLE, a 23 year old Farmer from Mt Lawley, Western Australia. He enlisted on 7 March 1917 with the 1st Light Horse Machine Gun Squadron, 2nd Reinforcements. At the conclusion of the war, he Returned to Australia, 15 May 1919. 554 Private Milton James NEWTON, a 20 year old Farmer from Bangalow, New South Wales. He enlisted on 24 August 1914 with the 2nd Light Horse Regiment, C Squadron. At the conclusion of the war, he Returned to Australia, 15 November 1918. 13 Private William Henry Bede NICHOLS, a 25 year old Fitter from Marrickville, New South Wales. He enlisted on 2 December 1916 with the 1st Light Horse Machine Gun Squadron, 1st Reinforcements. He subsequently Returned to Australia, 12 November 1917. 2643 Private Alfred NORMAN, a 25 year old Farmer from Cookes Plain, South Australia. He enlisted on 18 January 1916 with the 3rd Light Horse Regiment, 18th Reinforcements. At the conclusion of the war, he Returned to Australia, 4 March 1919. 1257 Private Patrick NORRIS, a 21 year old Clerk from Brisbane, Queensland. He enlisted on 30 March 1915 with the 2nd Light Horse Regiment, 9th Reinforcements. At the conclusion of the war, he Returned to Australia, 15 May 1919. 1456 Private William Gwynne NORTHFIELD, a 24 year old Farmer from Sth Gundrimba, New South Wales. He enlisted on 10 July 1915 with the 2nd Light Horse Regiment, 11th Reinforcements. At the conclusion of the war, he Returned to Australia, 15 May 1919. 171 Private Richard James NOURSE, a 19 year old Labourer from Copper House, South Australia. He enlisted on 20 August 1914 with the 3rd Light Horse Regiment, A Squadron. At the conclusion of the war, he Returned to Australia, 15 November 1918. 44 Private Thomas Aloysius OBRIEN, a 23 year old Porter from Frances, South Australia. He enlisted on 4 September 1914 with the 3rd Light Horse Regiment, Machine Gun Section. At the conclusion of the war, he Returned to Australia, 15 November 1918. 106 Driver William OBRIEN, a 30 year old Clerk from Indooroopily, Queensland. He enlisted on 20 August 1914 with the 1st Light Horse Brigade Headquarters, 5th Company Australian Army Supply Corps. He subsequently Returned to Australia, 28 December 1917. 559 Private John OCONNOR, a 38 year old Engine driver from Mt Morgan, Queensland. He enlisted on 26 August 1914 with the 2nd Light Horse Regiment, C Squadron. He subsequently Returned to Australia, 13 October 1918. 136 Private William Douglas ONEILL, a 19 year old Grocer from Toodyay, Western Australia. He enlisted on 5 June 1917 with the 1st Light Horse Machine Gun Squadron, 6th Reinforcements. At the conclusion of the war, he Returned to Australia, 17 July 1919. 1127 Private Francis ORILEY, a 21 year old Labourer from Bruce, South Australia. He enlisted on 28 January 1915 with the 3rd Light Horse Regiment, 7th Reinforcements. At the conclusion of the war, he Returned to Australia, 15 May 1919. 3303 Private Ralph Leo ORTH, a 21 year old Coachpainter from Mudgee, New South Wales. He enlisted on 11 April 1917 with the Imperial Camel Corps, 12th Reinforcements. At the conclusion of the war, he Returned to Australia, 15 June 1919. 137 Private James Daniel OTOOLE, a 31 year old Farmer from Nungarin, Western Australia. He enlisted on 11 June 1917 with the 1st Light Horse Machine Gun Squadron, 6th Reinforcements. At the conclusion of the war, he Returned to Australia, 28 January 1919. 158 Private Alfred Thomas OTTREY, an 18 year old Farmhand from Moora, Western Australia. He enlisted on 26 February 1917 with the 1st Light Horse Machine Gun Squadron, 7th Reinforcements. At the conclusion of the war, he Returned to Australia, 15 May 1919. 2808 Private Oliver Douglas PACKER, a 23 year old Farmer from Mundalla, South Australia. He enlisted on 12 February 1916 with the 3rd Light Horse Regiment, 19th Reinforcements. At the conclusion of the war, he Returned to Australia, 4 March 1919. 1487 Private Herbert PAINTON, a 20 year old Carpenter from Maryborough, Queensland. He enlisted on 1 September 1915 with the 2nd Light Horse Regiment, 11th Reinforcements. He subsequently Died of Disease, 7 March 1919. 918 Private David PARKES, an 18 year old Miner from East Sydney, New South Wales. He enlisted on 1 January 1915 with the 3rd Light Horse Regiment, 4th Reinforcements. At the conclusion of the war, he Returned to Australia, 15 May 1919. 3696 Private John Williams PARRY, a 33 year old Barman from Forest Lodge, New South Wales. He enlisted on 19 November 1917 with the Imperial Camel Corps, 14th Reinforcements. At the conclusion of the war, he Returned to Australia, 15 July 1919. 54 Private Wilfred James PARRY, a 20 year old Loco Cleaner from Glen Osmond, South Australia. He enlisted on 19 August 1914 with the 3rd Light Horse Regiment, Machine Gun Section. At the conclusion of the war, he Returned to Australia, 15 November 1918. 1192 Private William Clement PARSONS, a 28 year old Teamster from Hawker, South Australia. He enlisted on 27 January 1915 with the 3rd Light Horse Regiment, 8th Reinforcements. At the conclusion of the war, he Returned to Australia, 15 May 1919. 2089 Private Allen Percival PASCOE, an 18 year old Horse driver from Adelaide, South Australia. He enlisted on 18 November 1915 with the 3rd Light Horse Regiment, 14th Reinforcements. At the conclusion of the war, he Returned to Australia, 15 May 1919. 8 Private Alfred Bernard PEACEY, a 20 year old Grazier from Bullarah, New South Wales. He enlisted on 29 November 1916 with the 1st Light Horse Machine Gun Squadron, 1st Reinforcements. At the conclusion of the war, he Returned to Australia, 7 July 1919. 9 Private William Andrew PEACEY, a 21 year old Grazier from Bullarah, New South Wales. He enlisted on 30 November 1916 with the 1st Light Horse Machine Gun Squadron, 1st Reinforcements. At the conclusion of the war, he Returned to Australia, 15 May 1919. 3305 Private Sidney Charles Wentworth PEACOCK, a 23 year old Rail shunter from Ultimo, New South Wales. He enlisted on 23 April 1917 with the Imperial Camel Corps, 12th Reinforcements. At the conclusion of the war, he Returned to Australia, 21 April 1919. 2224 Private Arthur PEARCE, a 22 year old Farmer from Crows Nest, Queensland. He enlisted on 24 September 1915 with the 5th Light Horse Regiment, 15th Reinforcements. He subsequently Returned to Australia, 5 September 1918. 2828 Private Edwin John Horton PEARCE, a 23 year old Farmer from Taylors Crow, Queensland. He enlisted on 24 January 1916 with the 2nd Light Horse Regiment, 19th Reinforcements. At the conclusion of the war, he Returned to Australia, 15 May 1919. 2829 Private Beresford PETERS, a 26 year old Engine driver from Sth Killarney, Queensland. He enlisted on 4 February 1916 with the 2nd Light Horse Regiment, 19th Reinforcements. At the conclusion of the war, he Returned to Australia, 31 January 1919. 3407 Acting Corporal Robert Christopher PICKERING, a 29 year old Soldier / A&I Staff from West End, Queensland. He enlisted on 19 May 1917 with the 2nd Light Horse Regiment, 29th Reinforcements. At the conclusion of the war, he Returned to Australia, 29 March 1919. 2827 Private James PITCEATHLY, a 19 year old Farmer from Peachey, Queensland. He enlisted on 28 January 1916 with the 2nd Light Horse Regiment, 19th Reinforcements. At the conclusion of the war, he Returned to Australia, 8 October 1919. 2350 Private Clarence Alfred POSSINGHAM, a 21 year old Nurseryman from Houghton, South Australia. He enlisted on 17 January 1916 with the 3rd Light Horse Regiment, 16th Reinforcements. At the conclusion of the war, he Returned to Australia, 15 May 1919. 2813 Private Howard Avondale PRESTON, a 24 year old Farmer from Whittlesea, Victoria. He enlisted on 29 November 1915 with the 4th Light Horse Regiment, 19th Reinforcements. At the conclusion of the war, he Returned to Australia, 10 July 1919. 1042 Private Bert PRIMM, a 21 year old Labourer from Milmerran, Queensland. He enlisted on 6 January 1915 with the 2nd Light Horse Regiment, 6th Reinforcements. At the conclusion of the war, he Returned to Australia, 5 March 1919. 468 Private John Francis QUIGLEY, a 27 year old Labourer from Launceston, Tasmania. He enlisted on 23 August 1914 with the 3rd Light Horse Regiment, C Squadron. At the conclusion of the war, he Returned to Australia, 15 November 1918 . 53 Private Leslie James QUINN, a 23 year old Labourer from Port Pirie, South Australia. He enlisted on 19 August 1914 with the 3rd Light Horse Regiment, Machine Gun Section. At the conclusion of the war, he Returned to Australia, 19 January 1919. 469 Private Joseph Charles RADNELL, a 24 year old Miner from Tarnagulla, Victoria. He enlisted on 17 August 1914 with the 3rd Light Horse Regiment, C Squadron. He subsequently was Killed in Action, 4 August 1916. 1458 Private John Hodgskin RANDELL, a 27 year old Stud groom from Coolah, New South Wales. He enlisted on 23 July 1915 with the 1st Light Horse Regiment, 11th Reinforcements. At the conclusion of the war, he Returned to Australia, 12 June 1919. 50356 Private Lewis RAYMOND, a 21 year old Labourer from Spears Pt Newcastle, New South Wales. He enlisted on 30 January 1918 with the 1st General Service Reinforcements, New South Wales. At the conclusion of the war, he Returned to Australia, 15 May 1919. 474 Private Ernest Edward REEMAN, a 19 year old Farmer from Needles, Tasmania. He enlisted on 20 August 1914 with the 3rd Light Horse Regiment, C Squadron. At the conclusion of the war, he Returned to Australia, 4 March 1919. 3271 Private Roy Walter REEMAN, an 18 year old Labourer from Launceston, Tasmania. He enlisted on 30 October 1916 with the 3rd Light Horse Regiment, 26th Reinforcements. At the conclusion of the war, he Returned to Australia, 4 March 1919. 2658 Private Alexander Frederick REIMERS, an 18 year old Butcher from Inglewood, Victoria. He enlisted on 3 February 1916 with the 4th Light Horse Regiment, 18th Reinforcements. At the conclusion of the war, he Returned to Australia, 15 May 1919. 64091 Private George Albert Victor REYNOLDS, a 19 year old Labourer from Dubbo, New South Wales. He enlisted on 25 May 1918 with the 5th General Service Reinforcements, New South Wales. At the conclusion of the war, he Returned to Australia, 15 May 1919. 279 Private William George RICHARDS, a 39 year old Signal fitter from Bellmore Park. He enlisted on 19 August 1914 with the 1st Light Horse Regiment, B Squadron. At the conclusion of the war, he Returned to Australia, 15 November 1918. 1123 Private George Blunden RICHARDSON, a 23 year old Farmer from Annandale, New South Wales. He enlisted on 26 February 1915 with the 1st Light Horse Regiment, 7th Reinforcements. At the conclusion of the war, he Returned to Australia, 10 July 1919. 953 Private William Alexander RICHARDSON, a 25 28 year old Labourer/ Platelayer from Canowie Belt Yalcowie, South Australia. He enlisted on 7 December 1914 with the 3rd Light Horse Regiment, 5th Reinforcements. At the conclusion of the war, he Returned to Australia, 15 May 1919. 606 Private Charles Edward RILEY, a 19 year old Clerk from Unley Park, South Australia. He enlisted on 14 September 1914 with the 3rd Light Horse Regiment, 1st Reinforcements. At the conclusion of the war, he Returned to Australia, 16 May 1919. 18189 Private William Grant RITCHIE, a 30 year old Farmer from Kardella, Victoria. He enlisted on 21 August 1917 with the Australian Army Medical Corps, Reinforcements. At the conclusion of the war, he Returned to Australia, 28 January 1919. 2957 Private Bertie George RIXON, a 22 year old Farmer from Eden Creek via Kyogle, New South Wales. He enlisted on 14 April 1916 with the 2nd Light Horse Regiment, 21st Reinforcements. He subsequently was Killed in Action, 14 July 1918 . 1688 Acting Corporal Francis Kersey James ROBERTSON, a 20 year old Stockman from Indooroopily, Queensland. He enlisted on 3 August 1915 with the 2nd Light Horse Regiment, 11th Reinforcements. He subsequently was Killed in Action, 9 January 1917. 827 Private John ROBINSON, a 32 year old Labourer from Campbelltown, Tasmania. He enlisted on 6 January 1915 with the 3rd Light Horse Regiment, 3rd Reinforcements. He subsequently Returned to Australia, 15 February 1918. 470 Private Oswald ROBINSON, a 26 year old Grazier from King Island, Tasmania. He enlisted on 19 August 1914 with the 3rd Light Horse Regiment, C Squadron. At the conclusion of the war, he Returned to Australia, 15 November 1918. 1492 Private Arthur John Ignatius Hilliary RODEN, a 30 year old Harness maker from Rundle st Adelaide, South Australia. He enlisted on 16 June 1915 with the 3rd Light Horse Regiment, 11th Reinforcements. He subsequently Returned to Australia, 30 August 1918. 1638 Private Edgar Frank ROONEY, a 23 year old Bank Clerk from Longwood, Victoria / Ringwood, Victoria. He enlisted on 12 July 1915 with the 4th Light Horse Regiment, 12th Reinforcements. He subsequently Returned to Australia, 22 January 1917. 10 Private Richard Benjamin ROSE, a 21 year old Farmer from Bellingen, New South Wales. He enlisted on 4 December 1916 with the 1st Light Horse Machine Gun Squadron, 1st Reinforcements. At the conclusion of the war, he Returned to Australia, 15 November 1918. 2834 Private Alister Hall ROSS, a 28 year old Cattle dealer from Muswellbrook, New South Wales. He enlisted on 13 January 1916 with the 1st Light Horse Regiment, 19th Reinforcements. At the conclusion of the war, he Returned to Australia, 16 January 1919. 181 Private John Anstice ROSS, a 19 year old Farner from Waikerie, South Australia. He enlisted on 1 September 1914 with the 3rd Light Horse Regiment, A Squadron. At the conclusion of the war, he Returned to Australia, 8 March 1919. 338 Private Robert Dalrymple ROSS, a 21 year old Engineer from Waikerie, South Australia. He enlisted on 19 August 1914 with the 3rd Light Horse Regiment, B Squadron. At the conclusion of the war, he Returned to Australia, 1 November 1919. 648 Private Arthur RUTHERFORD, a 22 year old Traveller from Grahamstown, New South Wales. He enlisted on 9 September 1914 with the 1st Light Horse Regiment, 1st Reinforcements. At the conclusion of the war, he Returned to Australia, 15 January 1919. 2374 Private Stanley Milton RYAN, a 30 year old Bank clerk from Manly, New South Wales. He enlisted on 8 November 1915 with the 1st Light Horse Regiment, 16th Reinforcements. He subsequently Returned to Australia, 29 April 1918. 2479 Private Leslie Norman SAINT, a 22 year old Farmer from Balaklava, South Australia. He enlisted on 24 January 1916 with the 3rd Light Horse Regiment, 17th Reinforcements. At the conclusion of the war, he Returned to Australia, 8 October 1919. 3367 Private Maurice Edgar SAINT, a 21 year old Farmer from Staints Station, South Australia. He enlisted on 6 March 1917 with the 9th Light Horse Regiment, 28th Reinforcements. At the conclusion of the war, he Returned to Australia, 15 May 1919. 742 Private Charles Edward SANDERSON, a 22 year old Grocer from Violet Town, Victoria. He enlisted on 19 October 1914 with the 4th Light Horse Regiment, 2nd Reinforcements. At the conclusion of the war, he Returned to Australia, 5 March 1919. 2811 Private Shaw Stewart Octivies SANDERSON, a 22 year old Farm hand from Mundalla, South Australia. He enlisted on 12 February 1916 with the 3rd Light Horse Regiment, 19th Reinforcements. At the conclusion of the war, he Returned to Australia, 15 May 1919. 2210 Private Victor Rupert SAUNDERS, a 20 year old Market gardener from Zeehan, Tasmania. He enlisted on 13 November 1915 with the 4th Light Horse Regiment, 15th Reinforcements. At the conclusion of the war, he Returned to Australia, 15 May 1919. 2889 Private Robert Royce Rowland SAYERS, a 23 year old Farm Labourer from Bowden, South Australia. He enlisted on 14 February 1916 with the 3rd Light Horse Regiment, 20th Reinforcements. At the conclusion of the war, he Returned to Australia, 15 May 1919. 46 Private Albert Carl SCHMELZKOPF, a 19 year old Clerk from Knightsbridge, South Australia. He enlisted on 5 September 1914 with the 3rd Light Horse Regiment, Machine Gun Section. At the conclusion of the war, he Returned to Australia, 5 March 1919. 1713 Private David Thomas SHARP, a 33 year old Farmer from Narra Cooper, Tasmania. He enlisted on 14 September 1915 with the 3rd Light Horse Regiment, 12th Reinforcements. At the conclusion of the war, he Returned to Australia, 31 January 1919. 69 Private Frank Hugo SHARP, a 29 year old Carpenter from Gayndah, Queensland. He enlisted on 22 August 1914 with the 2nd Light Horse Regiment, Machine Gun Section. At the conclusion of the war, he Returned to Australia, 15 May 1919. 11 Private David John SHAW, a 24 year old Farmer from Spring Tree, New South Wales. He enlisted on 4 December 1916 with the 1st Light Horse Machine Gun Squadron, 1st Reinforcements. At the conclusion of the war, he Returned to Australia, 15 May 1919. 62 Private John SHAW, a 45 year old Horsedriver from Greenbushes, Western Australia. He enlisted on 19 April 1917 with the 1st Light Horse Machine Gun Squadron, 3rd Reinforcements. At the conclusion of the war, he Returned to Australia, 6 April 1919. 481 Private Ernest Arthur SHEARING, a 20 year old Rail worker from Hobart, Tasmania. He enlisted on 17 August 1914 with the 3rd Light Horse Regiment, C Squadron. At the conclusion of the war, he Returned to Australia, 15 November 1918. 2659 Private Albert John SHEPPARD, a 19 year old Farmer from Undera, Victoria. He enlisted on 9 February 1916 with the 4th Light Horse Regiment, 18th Reinforcements. At the conclusion of the war, he Returned to Australia, 15 May 1919 . 2890 Private Frank Harold SHILTON, a 25 year old Farmer from Merghiny, South Australia. He enlisted on 3 March 1916 with the 3rd Light Horse Regiment, 21st Reinforcements. At the conclusion of the war, he Returned to Australia, 5 March 1919. 52932 Private Leslie William SHOLL, a 20 year old Stationhand from Cottesloe, Western Australia. He enlisted on 13 March 1918 with the 2nd General Service Reinforcements, Western Australia. At the conclusion of the war, he Returned to Australia, 15 May 1919. 2476 Private Albert James Parker SIDLOW, a 25 year old Rail fireman from Brunswick, Victoria. He enlisted on 9 November 1915 with the 4th Light Horse Regiment, 17th Reinforcements. At the conclusion of the war, he Returned to Australia, 15 June 1919. 4531 Private Thomas Garvin SIMPSON, a 20 year old Grazier from Armidale, New South Wales. He enlisted on 3 January 1918 with the Light Horse Reinforcements. At the conclusion of the war, he Returned to Australia, 15 May 1919. 1662 Private Stewart Monteith SINCLAIR, a 21 year old Grazier from Surat West, Queensland. He enlisted on 4 August 1915 with the 2nd Light Horse Regiment, 12th Reinforcements. At the conclusion of the war, he Returned to Australia, 15 May 1919. 1462 Private William John Ambrose SISSONS, a 29 year old Farmer from Hay, New South Wales. He enlisted on 5 August 1915 with the 1st Light Horse Regiment, 11th Reinforcements. At the conclusion of the war, he Returned to Australia, 15 May 1919. 332 Private George Ernest SMITH, a 22 year old Labourer from Umaralla Station, New South Wales. He enlisted on 23 August 1914 with the 1st Light Horse Regiment, B Squadron. At the conclusion of the war, he Returned to Australia, 18 December 1918. 217 Sergeant Ross MacPherson SMITH, a 21 year old Warehouse man from Gilberton, South Australia. He enlisted on 19 August 1914 with the 3rd Light Horse Regiment, B Squadron. At the conclusion of the war, he Returned to Australia, 12 November 1919. 2478 Private Sydney James SMITH, a 25 year old Plasterer from Canterbury, Victoria. He enlisted on 5 February 1915 with the 4th Light Horse Regiment, 17th Reinforcements. He subsequently Returned to Australia, 22 January 1917. 2485 Private William Edward SMITH, a 22 year old Driver from Prahran, Victoria. He enlisted on 1 December 1915 with the 4th Light Horse Regiment, 17th Reinforcements. At the conclusion of the war, he Returned to Australia, 4 March 1919. 1286 Private William Henry SMITH, a 23 year old Labourer from Mirboo, Victoria. He enlisted on 9 April 1915 with the 3rd Light Horse Regiment, 9th Reinforcements. At the conclusion of the war, he Returned to Australia, 15 May 1919. 765 Private Arthur Alfred SNELL, a 29 year old Station hand from Nth Adelaide, South Australia. He enlisted on 3 December 1914 with the 3rd Light Horse Regiment, 3rd Reinforcements. At the conclusion of the war, he Returned to Australia, 18 December 1919. 3073 Private Alexander Stewart SOMMERVILLE, a 31 year old Farmer from Mt Bryan, South Australia. He enlisted on 30 May 1916 with the 3rd Light Horse Regiment, 23rd Reinforcements. At the conclusion of the war, he Returned to Australia, 31 May 1919. 3186 Private Richard SPENCER, a 30 year old Boundry rider from Alice Springs, South Australia. He enlisted on 9 November 1916 with the 3rd Light Horse Regiment, 25th Reinforcements. At the conclusion of the war, he Returned to Australia, 28 January 1919. 1198 Private Thomas Francis SPURLING, an 18 year old Shop worker from Gladstone, South Australia. He enlisted on 21 January 1915 with the 3rd Light Horse Regiment, 8th Reinforcements. At the conclusion of the war, he Returned to Australia, 15 May 1919. 2962 Private Harry SPURRIER, an 18 year old Farmhand from Woollahra, New South Wales. He enlisted on 6 February 1917 with the Imperial Camel Corps, 8th Reinforcements. At the conclusion of the war, he Returned to Australia, 15 May 1919. 50523 Private Herbert William STACY, an 18 year old Clerk from Nth Adelaide, South Australia. He enlisted on 8 December 1917 with the 1st General Service Reinforcements, South Australia. At the conclusion of the war, he Returned to Australia, 15 May 1919. 3134 Private Horace Raymond Barry STANFIELD, a 26 year old Farmer from Noarlunga, South Australia. He enlisted on 2 October 1916 with the 3rd Light Horse Regiment, 24th Reinforcements. At the conclusion of the war, he Returned to Australia, 15 May 1919. 37 Private Frederick King STEARN, a 24 year old Farmhand from Highgate, Western Australia. He enlisted on 12 August 1916 with the 1st Light Horse Machine Gun Squadron, 2nd Reinforcements. At the conclusion of the war, he Returned to Australia, 15 May 1919. 2890 Private Percy Lytton STEBBINGS, a 35 year old Labourer from Emerald, Queensland. He enlisted on 1 February 1916 with the 2nd Light Horse Regiment, 20th Reinforcements. At the conclusion of the war, he Returned to Australia, 15 May 1919. 2329 Private Thomas STICKENS, a 23 year old Labourer from Miles, Queensland. He enlisted on 30 October 1916 with the Imperial Camel Corps, 9th Reinforcements. At the conclusion of the war, he Returned to Australia, 26 January 1918. 4530 Private Charles STOKER, a 22 year old Farmer from Alstonville, New South Wales. He enlisted on 17 October 1917 with the Light Horse Reinforcements. At the conclusion of the war, he Returned to Australia, 15 May 1919. 3200 Private Edwin Albert STONE, a 38 year old Stockman from Woolloongaba, Queensland. He enlisted on 28 April 1916 with the 2nd Light Horse Regiment, 25th Reinforcements. He subsequently Returned to Australia, 12 July 1918. 2891 Private Gustav Alfred STRAUSS, a 27 year old Farmer from Mannum, South Australia. He enlisted on 18 February 1916 with the 3rd Light Horse Regiment, 20th Reinforcements. At the conclusion of the war, he Returned to Australia, 28 January 1919. 85 Private Henry Vincent STREET, a 28 year old Motor mech from East Perth, Western Australia. He enlisted on 21 February 1917 with the 1st Light Horse Machine Gun Squadron, 4th Reinforcements. At the conclusion of the war, he Returned to Australia, 15 May 1919. 1481 Private Stanley David STUART, a 21 year old Blacksmith from Burrowa, New South Wales. He enlisted on 2 August 1915 with the 1st Light Horse Regiment, 11th Reinforcements. At the conclusion of the war, he Returned to Australia, 16 May 1919. 28 Private Charles Ernest SWADLING, a 21 year old Farmer from N/R. He enlisted on 28 October 1914 with the 7th Light Horse Regiment, Regimental Headquarters. He subsequently Returned to Australia, 2 May 1918. 57267 Private Gideon Barry TELFORD, a 19 year old Stationhand from Longreach, Queensland. He enlisted on 21 March 1918 with the 4th General Service Reinforcements, Queensland. At the conclusion of the war, he Returned to Australia, 15 May 1919. 2949 Private Frederick William THISELTON, a 21 year old Farmer from Cowell, South Australia. He enlisted on 24 March 1916 with the 3rd Light Horse Regiment, 21st Reinforcements. At the conclusion of the war, he Returned to Australia, 16 May 1919. 55 Lance Corporal Herbert THOMLINSON, a 22 year old Tram worker from Waverley, New South Wales. He enlisted on 22 August 1914 with the 1st Light Horse Regiment, Machine Gun Section. At the conclusion of the war, he Returned to Australia, 15 November 1918. 3493 Private Charles Richard THORPE, a 21 year old Farmer from Streaky Bay, South Australia. He enlisted on 30 March 1917 with the 9th Light Horse Regiment, 30th Reinforcements. At the conclusion of the war, he Returned to Australia, 16 May 1919. 84 Private Arthur George TIDDY, a 19 year old Farmer from Dowerin, Western Australia. He enlisted on 2 November 1916 with the 1st Light Horse Machine Gun Squadron, 4th Reinforcements. At the conclusion of the war, he Returned to Australia, 16 May 1919. 2814 Private Clarence Roy TREMLETT, a 19 year old Labourer from Spalding, South Australia. He enlisted on 10 February 1916 with the 3rd Light Horse Regiment, 19th Reinforcements. At the conclusion of the war, he Returned to Australia, 16 May 1919. 52751 Private Cecil TUCKER, a 24 year old Shearer from Eastwood, New South Wales. He enlisted on 18 January 1918 with the 2nd General Service Reinforcements, New South Wales. At the conclusion of the war, he Returned to Australia, 16 May 1919. 4541 Private Herbert Rodney TUCKER, a 26 year old Famer from Kirribilli, New South Wales. He enlisted on 5 November 1917 with the Light Horse Reinforcements. At the conclusion of the war, he Returned to Australia, 15 May 1919. 1785 Private Harold George TURNER, a 25 year old Motor driver from Brisbane, Queensland. He enlisted on 13 August 1915 with the 2nd Light Horse Regiment, 12th Reinforcements. He subsequently Returned to Australia, 11 July 1917. 64099 Private Thomas Alfred TURNER, a 30 year old Station manager from Armidale, New South Wales. He enlisted on 2 July 1918 with the 5th General Service Reinforcements, New South Wales. At the conclusion of the war, he Returned to Australia, 15 May 1919. 1560 Private Vincent George TURNER, a 20 year old Labourer from Ellesmere Jericho, Tasmania. He enlisted on 13 August 1915 with the 3rd Light Horse Regiment, 11th Reinforcements. At the conclusion of the war, he Returned to Australia, 31 May 1919. 1356 Private William Henry TURNER, a 19 year old Labourer from Stephney, South Australia. He enlisted on 27 May 1915 with the 3rd Light Horse Regiment, 10th Reinforcements. At the conclusion of the war, he Returned to Australia, 16 September 1919. 57516 Private Walter Clifton UNDERWOOD, a 22 year old Farmer from Port Lincoln, South Australia. He enlisted on 18 May 1918 with the 4th General Service Reinforcements, South Australia. At the conclusion of the war, he Returned to Australia, 15 May 1919. 2660 Private Cyril Frederick USHER, a 22 year old Labourer from Back River, Tasmania. He enlisted on 30 October 1915 with the 4th Light Horse Regiment, 18th Reinforcements. He subsequently Returned to Australia, 21 May 1917. 3193 Private Henry Ernest VOLP, a 23 year old Engine driver from Meringandan via Toowoomba, Queensland. He enlisted on 20 April 1916 with the 2nd Light Horse Regiment, 25th Reinforcements. At the conclusion of the war, he Returned to Australia, 16 May 1919. 1120 Private James WADE, a 19 year old Station hand from Yunta, South Australia. He enlisted on 8 January 1915 with the 3rd Light Horse Regiment, 7th Reinforcements. He subsequently Returned to Australia, 28 December 1917. 3245 Private William John WADE, a 28 year old Farmer from Burnside, South Australia. He enlisted on 21 December 1916 with the 3rd Light Horse Regiment, 26th Reinforcements. At the conclusion of the war, he Returned to Australia, 5 March 1919. 1077 Private Norman John WALCOTT, a 19 year old Farm hand from Leichhardt, New South Wales. He enlisted on 10 April 1915 with the 1st Light Horse Regiment, 7th Reinforcements. At the conclusion of the war, he Returned to Australia, 13 March 1919. 3606 Private Horace Edwin WALDEN, a 20 year old Farmer from Stanley Flat, South Australia. He enlisted on 25 August 1917 with the 3rd Light Horse Regiment, 32nd Reinforcements. At the conclusion of the war, he Returned to Australia, 5 May 1919. 71 Lance Corporal Alexander Herbert WALKER, a 24 26 year old Jeweller from Toowoomba, Queensland. He enlisted on 24 August 1914 with the 2nd Light Horse Regiment, Machine Gun Section. At the conclusion of the war, he Returned to Australia, 15 May 1919. 2815 Private James Dunston Fraser WALLACE, a 25 year old Farm Labourer from Mundalla, South Australia. He enlisted on 12 February 1916 with the 3rd Light Horse Regiment, 19th Reinforcements. At the conclusion of the war, he Returned to Australia, 15 May 1919. 161A Private Arthur Charles WALLIS, an 18 year old Farmer from Ballidu, Western Australia. He enlisted on 15 June 1917 with the 1st Light Horse Machine Gun Squadron, 7th Reinforcements. At the conclusion of the war, he Returned to Australia, 14 March 1919. 883 Private Arnold WARD, an 18 year old Driver from Edithburgh, South Australia. He enlisted on 4 December 1914 with the 3rd Light Horse Regiment, 4th Reinforcements. He subsequently Returned to Australia, 15 February 1918. 2085 Private Arthur Ebenezer WARD, a 26 year old Stockman from Turn Turn Eneo, Queensland. He enlisted on 15 October 1915 with the 5th Light Horse Regiment, 14th Reinforcements. At the conclusion of the war, he Returned to Australia, 15 May 1919. 57024 Private Ernest John WARD, a 38 year old Farmer from Cobargo, New South Wales. He enlisted on 24 November 1917 with the 3rd General Service Reinforcements, New South Wales. At the conclusion of the war, he Returned to Australia, 15 May 1919. 92 Private Leslie Norman WARD, a 21 year old Clerk from Walkerville, South Australia. He enlisted on 26 August 1914 with the 3rd Light Horse Regiment, A Squadron. At the conclusion of the war, he Returned to Australia, 9 February 1919. 73 Lance Corporal Matthew WARD, a 44 year old Groom from Mitchell, Queensland. He enlisted on 10 September 1914 with the 2nd Light Horse Regiment, Machine Gun Section. At the conclusion of the war, he Returned to Australia, 25 November 1918. 86 Private William Leslie WARD, a 21 year old Wheelwright from Dowerin, Western Australia. He enlisted on 2 November 1916 with the 1st Light Horse Machine Gun Squadron, 4th Reinforcements. At the conclusion of the war, he Returned to Australia, 15 May 1919. 50366 Private John Thomas WATKIN, an 18 year old Teacher from Sth Grafton, New South Wales. He enlisted on 16 November 1917 with the 1st General Service Reinforcements, New South Wales. At the conclusion of the war, he Returned to Australia, 15 May 1919. 2837 Private Bertie WATSON, a 19 year old Farmer from Boomah, Queensland. He enlisted on 14 February 1916 with the 2nd Light Horse Regiment, 19th Reinforcements. At the conclusion of the war, he Returned to Australia, 9 July 1919. 2651 Private Thomas Richard WATSON, a 22 year old Braceman from Iron Knob, South Australia. He enlisted on 29 January 1916 with the 3rd Light Horse Regiment, 19th Reinforcements. At the conclusion of the war, he Returned to Australia, 5 March 1919. 2831 Private Alfred James WATT, a 30 year old Coach driver from Urunga, New South Wales. He enlisted on 19 January 1916 with the 1st Light Horse Regiment, 19th Reinforcements. At the conclusion of the war, he Returned to Australia, 15 May 1919. 147 Driver Frank Alexander WEEKS, a 22 year old Seaman from Moreton Bay, Queensland. He enlisted on 29 August 1914 with the 1st Light Horse Brigade Headquarters, 5th Company Australian Army Supply Corps. At the conclusion of the war, he Returned to Australia, 18 December 1918. 2661 Private George Albert WEST, a 24 year old Labourer from Boolarra West, Victoria. He enlisted on 15 February 1916 with the 4th Light Horse Regiment, 18th Reinforcements. He subsequently Returned to Australia, 30 August 1918. 1420 Private James Charles WEST, a 19 year old Labourer from Newtown via Bega, New South Wales. He enlisted on 2 August 1915 with the 1st Light Horse Regiment, 11th Reinforcements. At the conclusion of the war, he Returned to Australia, 28 August 1919. 364 Private Ernest Walter WESTON, a 23 year old Grazier from Porepunkah, Victoria. He enlisted on 26 August 1914 with the 4th Light Horse Regiment, B Squadron. He subsequently Died of Wounds, 5 December 1917. 1066 Private Eric John WHITE, an 18 year old Farmer from Melton, Tasmania. He enlisted on 9 June 1915 with the 3rd Light Horse Regiment, 6th Reinforcements. At the conclusion of the war, he Returned to Australia, 15 May 1919. 1565 Private Thomas Harold WHITE, a 23 year old Jockey from Trentham, Victoria. He enlisted on 3 September 1915 with the 3rd Light Horse Regiment, 11th Reinforcements. He subsequently Returned to Australia, 8 March 1917. 161 Private George Ernest WHITFIELD, a 22 year old Teamster from Albany, Western Australia. He enlisted on 13 May 1917 with the 1st Light Horse Machine Gun Squadron, 6th Reinforcements. At the conclusion of the war, he Returned to Australia, 29 April 1919. 57543 Private Frederick Gerard WICKENDEN, an 18 year old Jockey from Belmont, Western Australia. He enlisted on 18 June 1918 with the 4th General Service Reinforcements, Western Australia. At the conclusion of the war, he Returned to Australia, 15 May 1919. 50378 Private Geoffrey Innes WILLIAMS, a 21 year old Grazier from Barraba, New South Wales. He enlisted on 1 November 1917 with the 1st General Service Reinforcements, New South Wales. At the conclusion of the war, he Returned to Australia, 15 May 1919. 28 Private William Edward WILLIAMS, a 23 year old Labourer from Rochester, Victoria. He enlisted on 18 August 1914 with the 4th Light Horse Regiment, Regimental Headquarters. He subsequently Returned to Australia, 12 November 1917. 3254 Private John WILSON, a 23 year old Sailor from Brisbane, Queensland. He enlisted on 29 January 1917 with the 2nd Light Horse Regiment, 26th Reinforcements. At the conclusion of the war, he Returned to Australia, 15 May 1919. 3805 Private Reginald Joseph WILSON, a 22 year old Clerk from Ashfield, New South Wales. He enlisted on 17 October 1917 with the 1st Light Horse Regiment, 35th Reinforcements. At the conclusion of the war, he Returned to Australia, 15 May 1919. 52906 Private Phillip WINDLE, a 19 year old Engineer from Prospect, South Australia. He enlisted on 26 January 1918 with the 2nd General Service Reinforcements, South Australia. At the conclusion of the war, he Returned to Australia, 15 May 1919. 2816 Private Allan George WINTER, a 21 year old Gardener from Piccadilly, South Australia. He enlisted on 7 January 1916 with the 3rd Light Horse Regiment, 19th Reinforcements. At the conclusion of the war, he Returned to Australia, 15 May 1919. 2401 Acting Corporal Victor John Francis Moynihan WINTERBOTTOM, a 26 year old Farmer from Mincha East, Victoria. He enlisted on 12 June 1915 with the 4th Light Horse Regiment, 16th Reinforcements. At the conclusion of the war, he Returned to Australia, 2 February 1920. 2817 Private Harold Victor WOODS, a 23 year old Shoe smith from Port Lincoln, South Australia. He enlisted on 31 January 1916 with the 3rd Light Horse Regiment, 19th Reinforcements. He subsequently Died of Wounds, 12 November 1917. 1982 Private John Wilfred Clarence WRIGHT, a 23 year old Orchardist from Ringwood, Victoria. He enlisted on 5 August 1915 with the 3rd Light Horse Regiment, 13th Reinforcements. At the conclusion of the war, he Returned to Australia, 28 January 1919. Acknowledgement: Many thanks to Steve Becker who provided his usual invaluable assistance. The Roll of Honour contains the names of all the men known to have served at one time with the 1st Australian Light Horse Machine Gun Squadron and gave their lives in service of Australia, whether as part of the 1st Australian Light Horse Machine Gun Squadron or another unit. Rupert Clarence ACKLAND, Died of Wounds, 10 January 1917. Frederick BURGESS, Died of Wounds, 20 April 1918. Frank Railton CLINCH, Killed in Action, 4 August 1916. Roy Francis DE ALEVION, Died of Illness, 5 November 1918. John Herbert DEARMAN, Died of Wounds, 31 October 1917. John Tayler FARGHER, Died of Accident, 13 February 1919. William George FOX, Killed in Action, 11 November 1917. Thomas John GILLINGS, Died of Illness, 1 May 1918. Albert Cheesman KEMP, Died of Wounds, 14 April 1918. Ernest William KIDD, Killed in Action, 12 April 1918. Fred Johnston KNOWLING, Died of Wounds, 12 November 1917. William Roy LANG, Died of Wounds, 31 October 1917. Alfred Percy MARKS, Died of Illness, 23 November 1917. William Joseph MCINTOSH, Died of Illness, 18 October 1918. Albert Stanley MUIR, Killed in Action, 5 November 1917. John Robert MURRAY, Killed in Action, 10 July 1918. Joseph Charles RADNELL, Killed in Action, 4 August 1916. Bertie George RIXON, Killed in Action, 14 July 1918. Francis James Kearsey ROBERTSON, Killed in Action, 9 January 1917. Sidney George SHERRIN, Killed in Action, 17 September 1916. Harold Victor WOODS, Died of Wounds, 12 November 1917. Stewart Chris WOOLNOUGH, Died of Illness, 22 December 1916. Ernest Walter WESTON, Died of Wounds, 5 December 1917. Acknowledgement: Many thanks to Steve Becker who provided much of the raw material that appears in this item. 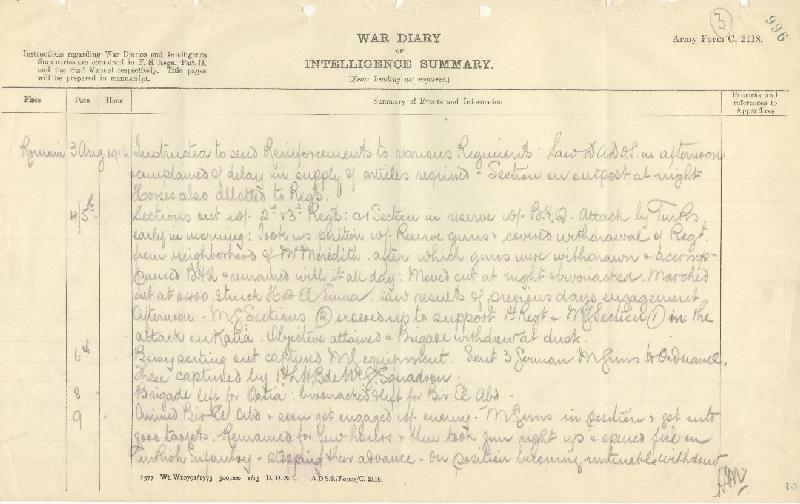 War Diary account of the 1st LHMGS, AIF. Sections out with 2nd and 3rd Light Horse Regiments and one Section in reserve with Brigade Headquarters. Attack by Turks early in morning. Took up position with Reserve guns and covered withdrawal of Regiment from neighbourhood of Mount Meredith, after which guns were withdrawn and accompanied Brigade Headquarters and remained with it all day. Moved out at night and bivouacked. Marched out at 0400. Struck Hod el Enna. Saw results of previous day's engagement. Afternoon. Machine Gun Section Two ordered up to support 1st Light Horse Regiment and Machine Gun Section One in the attack on Katia. Objective attained and Brigade withdrew at dusk. 44 Private Thomas Aloysius O'Brien, originally enlisted with the 3rd Light Horse Regiment, Machine Gun Section, then transferred to the 1st Light Horse Machine Gun Squadron.